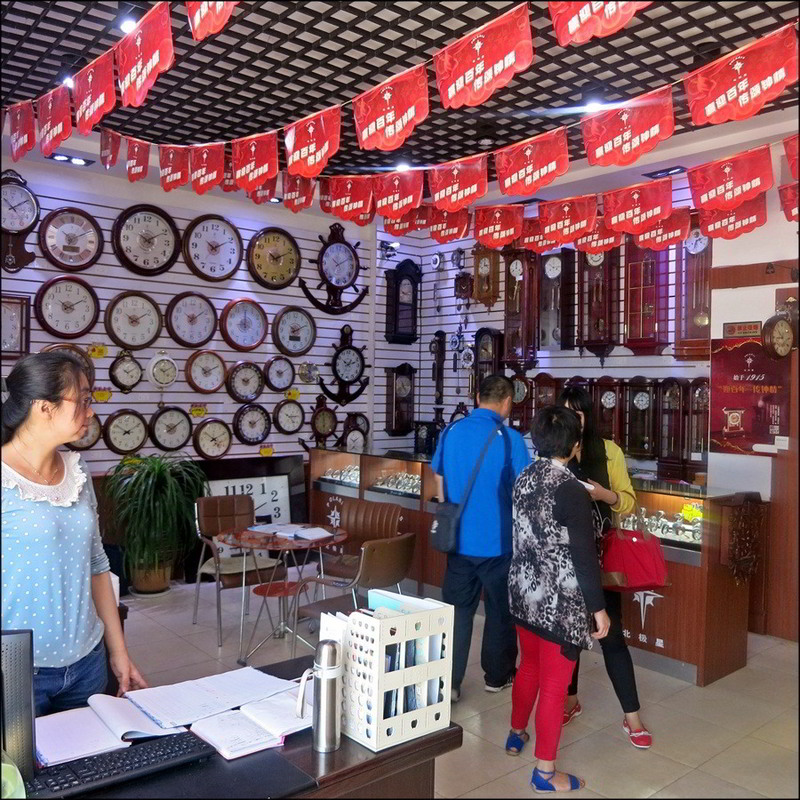 The morning of June 13th, after a good breakfast at the hotel, Li Wei, Mr. Zheng and I started our day's touring at the Polaris/Beijixing main facility for a visit to the watch and clock store at the same location. 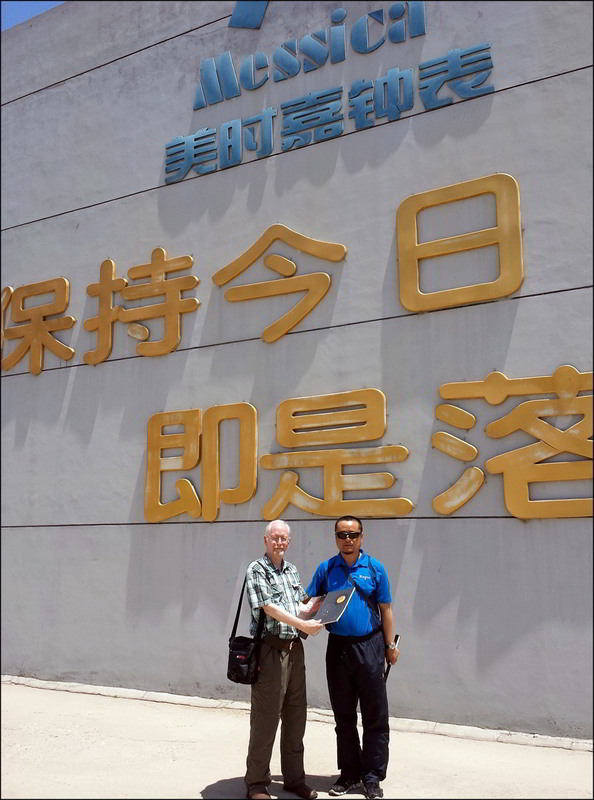 The busy plan for the day was to then head to a second Beijixing/Polaris facility, followed by visits to a couple of smaller but significant Yantai clock manufacturers, before heading to the airport for my 4:00 PM flight to Shijiazhuang so I could spend a few days with my brother MaRong. 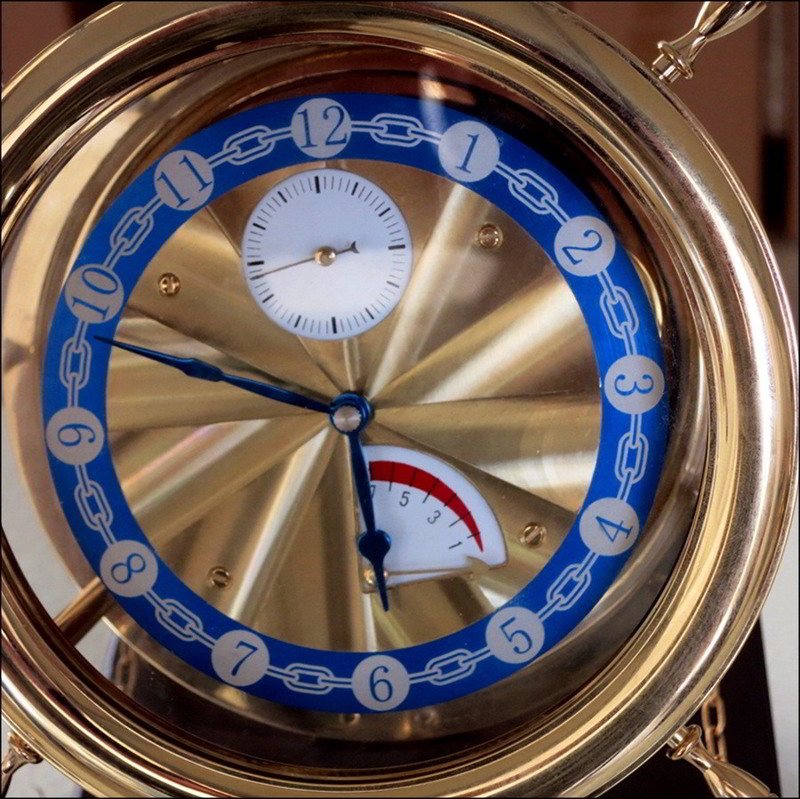 Note: this is a clock heavy post with little watch content. 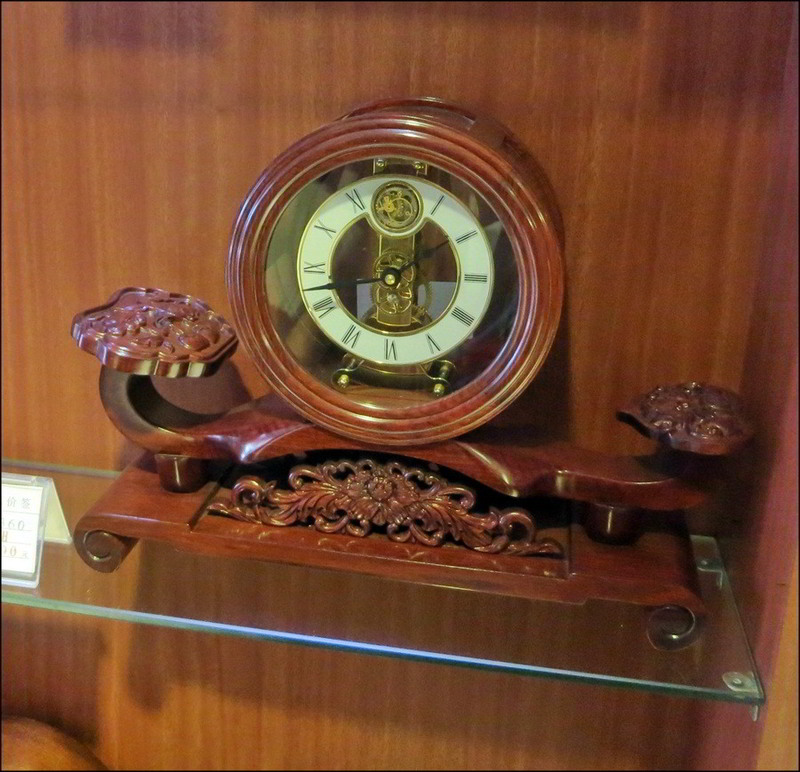 As I mentioned, the China Horologe Association plan for my time in China was to include visits to clock as well as watch manufacturers both to reflect the full meaning of horology, but also to provide me with a much more comprehensive understanding of the entire Chinese timepiece industry. 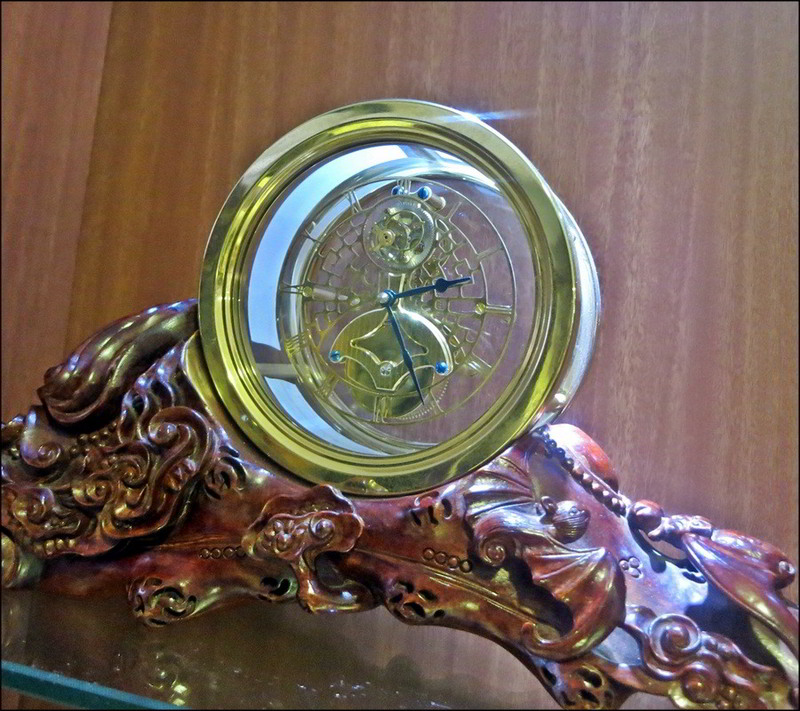 I'm grateful for the opportunity and I'm happy to pass on what I saw and leaned. 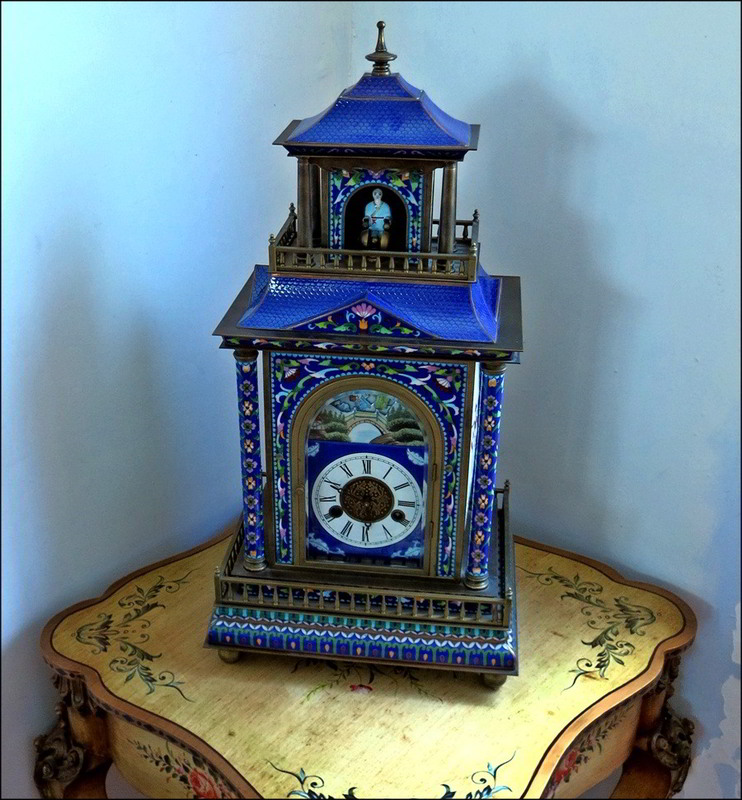 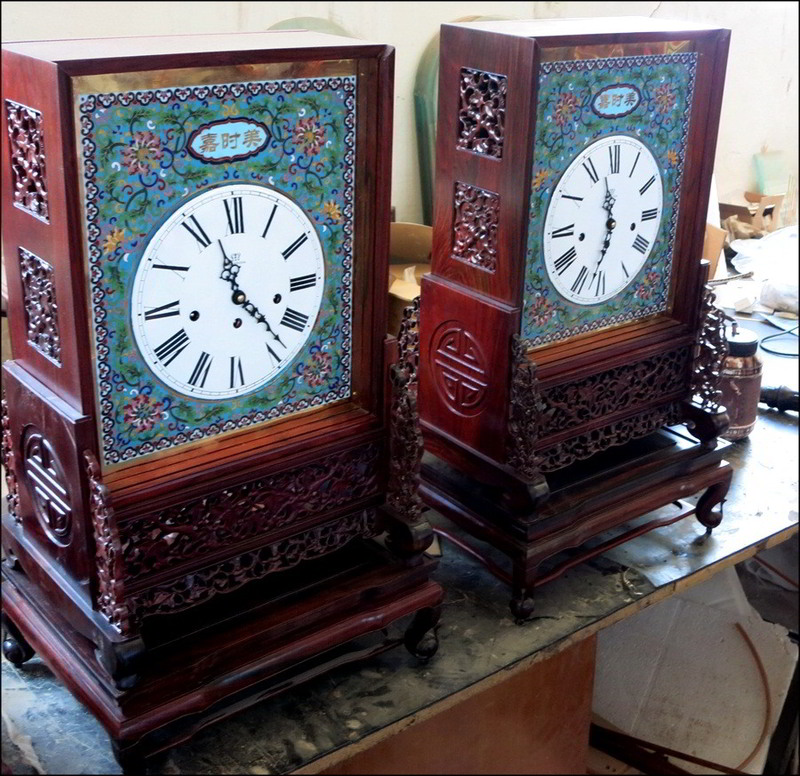 I hope that folks who might not be that interested in clocks wil still enjoy the post. 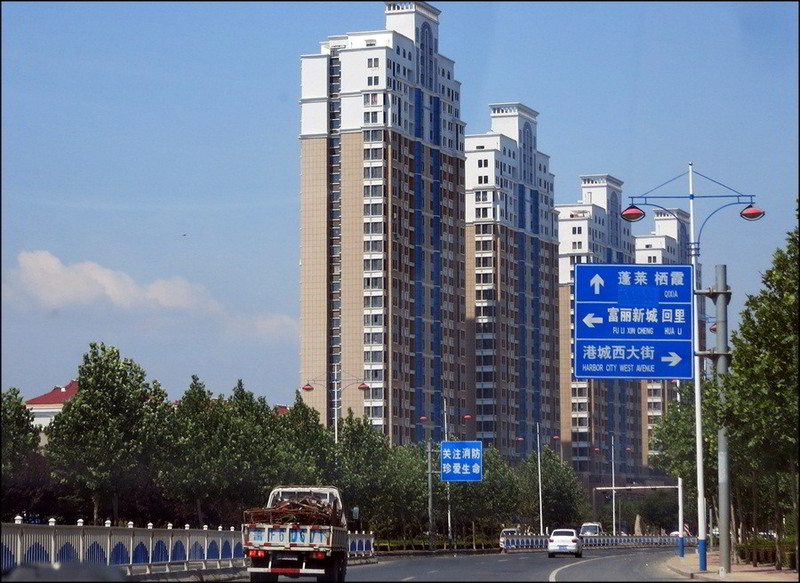 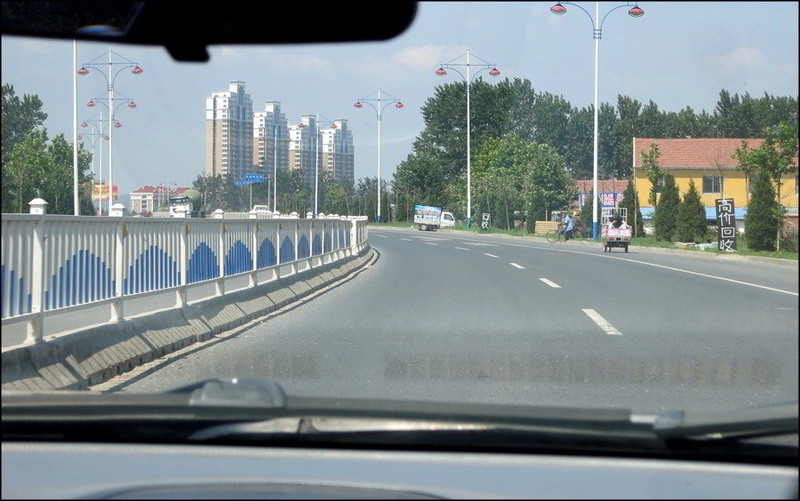 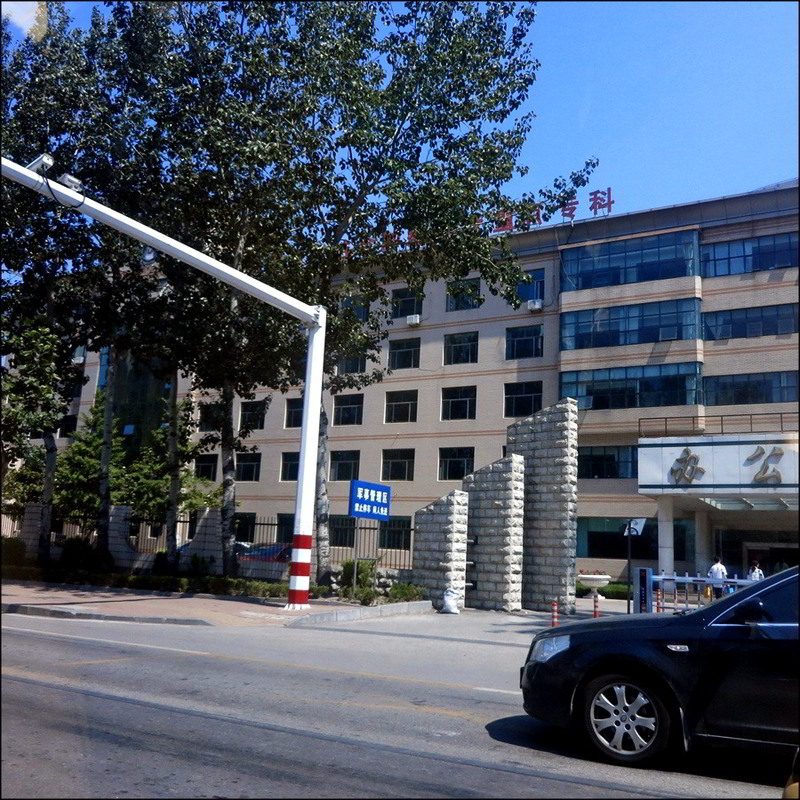 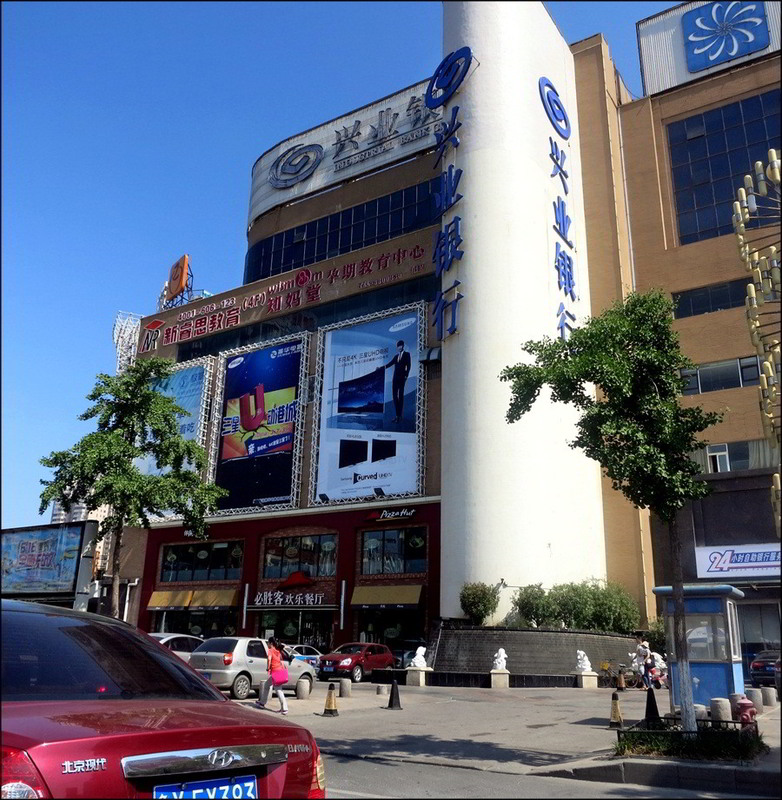 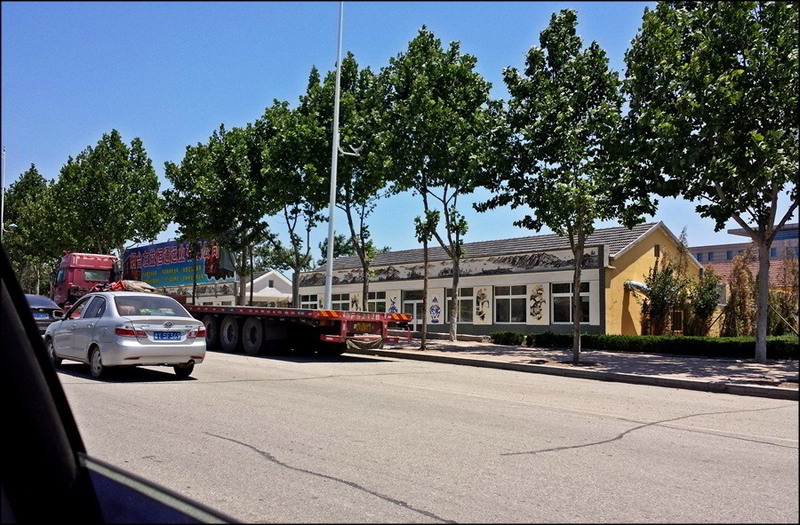 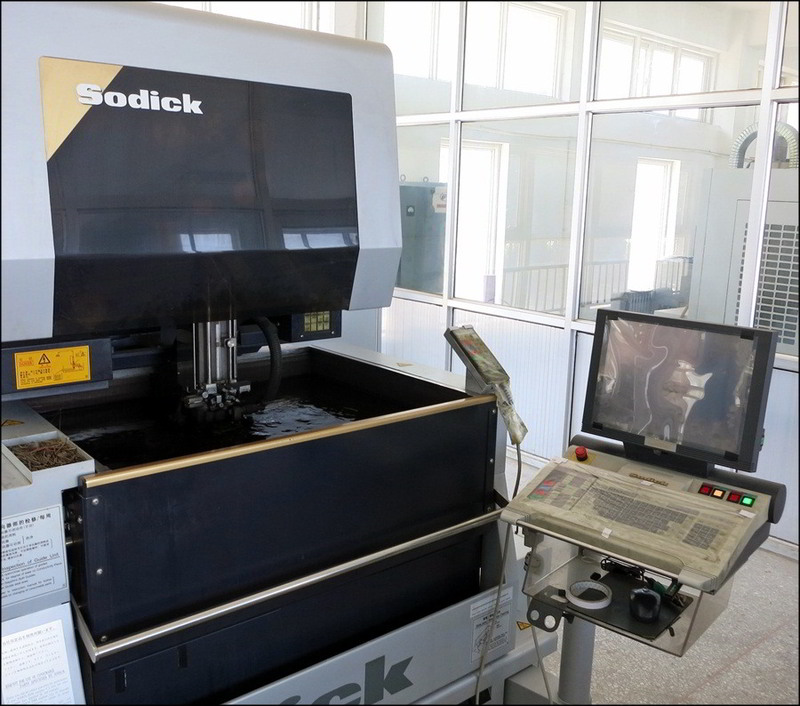 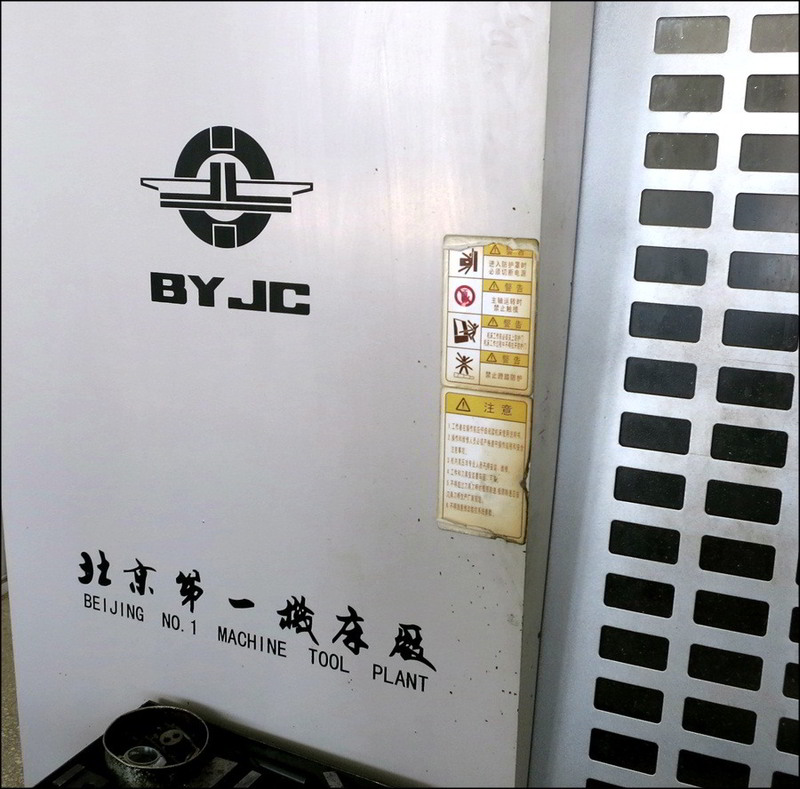 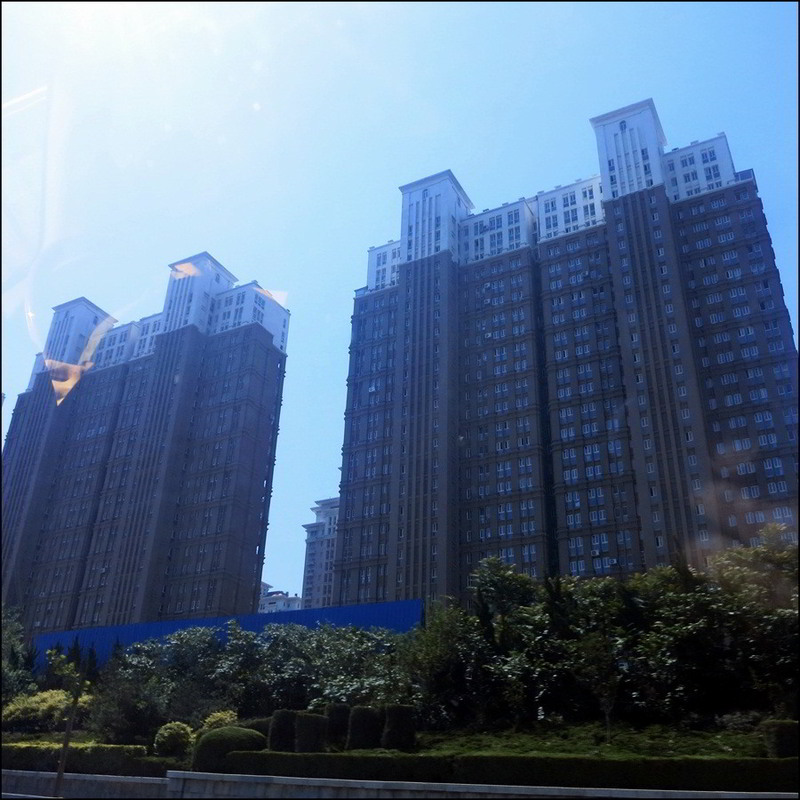 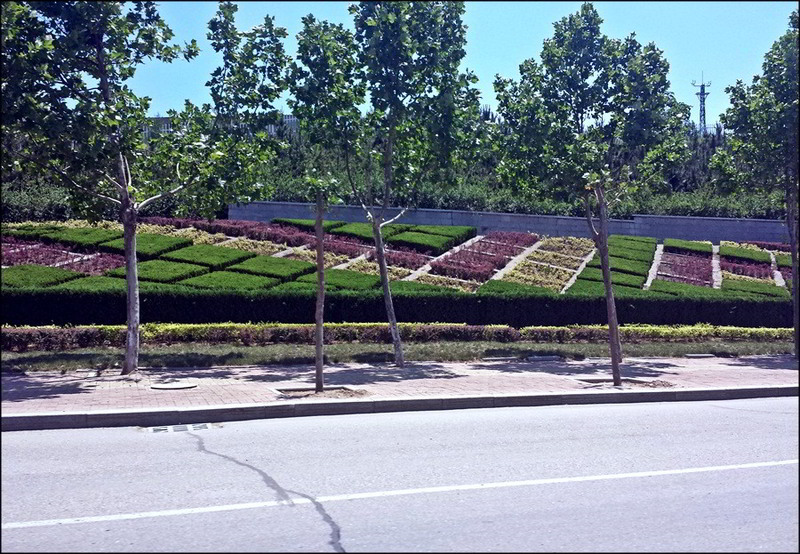 This was followed by a trip out to an industrial suburb about 3/4 of an hour from the downtown Yantai location to see one of Beijixing/Polaris's suburban secondary facilities, the place where the Company makes and assembles many of it's own in-house clock movements. 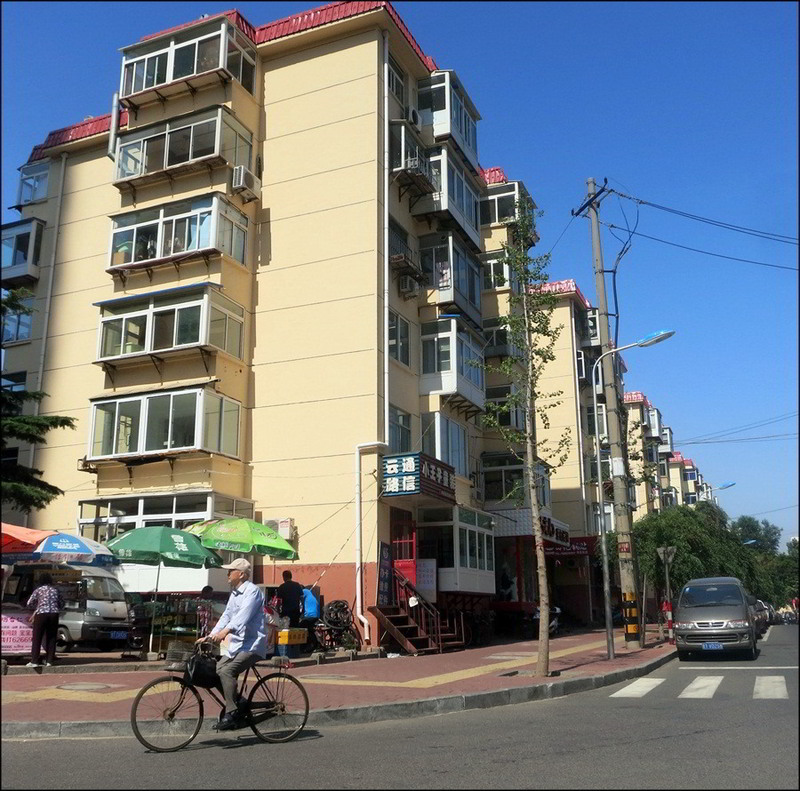 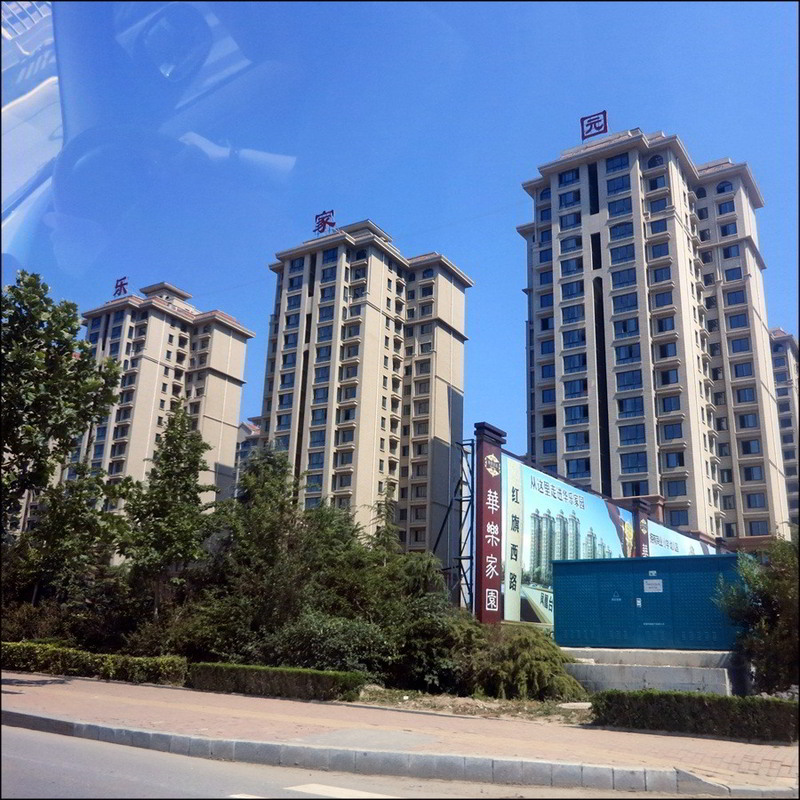 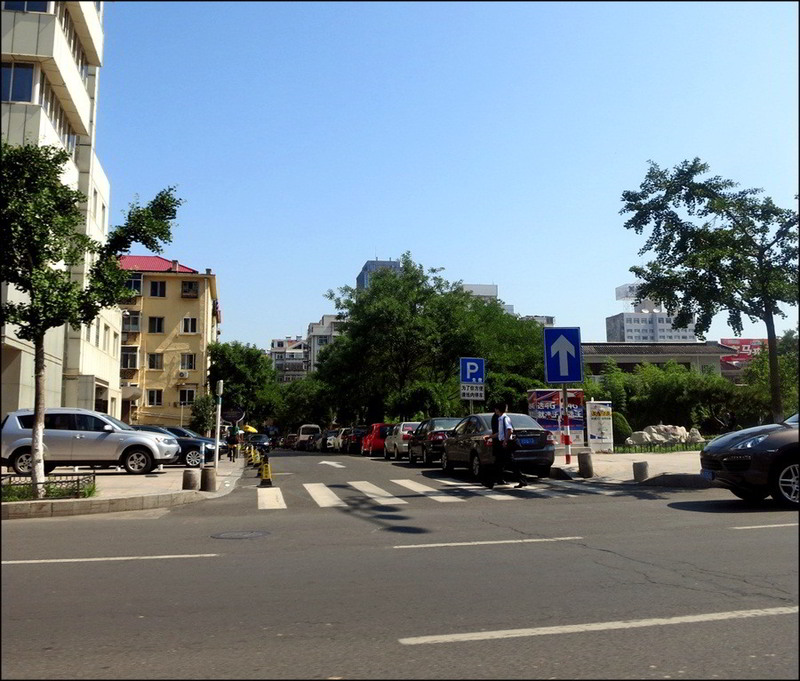 I took the opportunity to capture some shots of Yantai itself, away from the beach area. 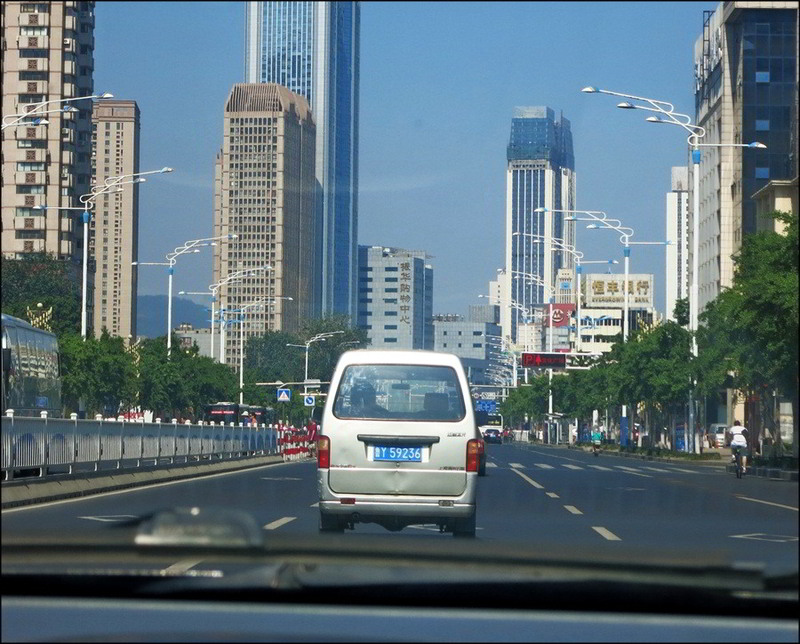 It's a pretty city. 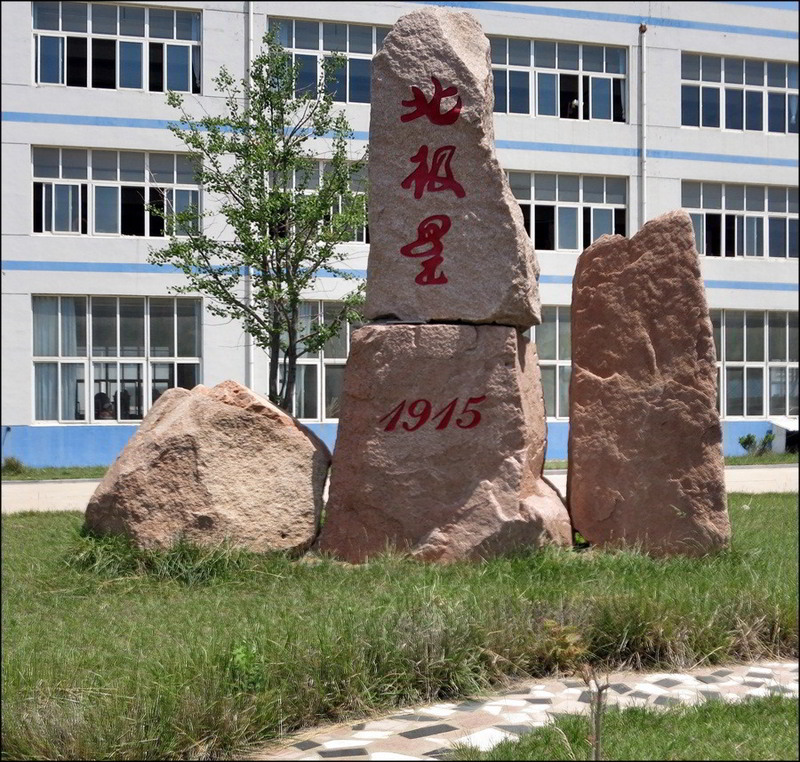 We drove into the complex, noting the older bus and the stone marker. 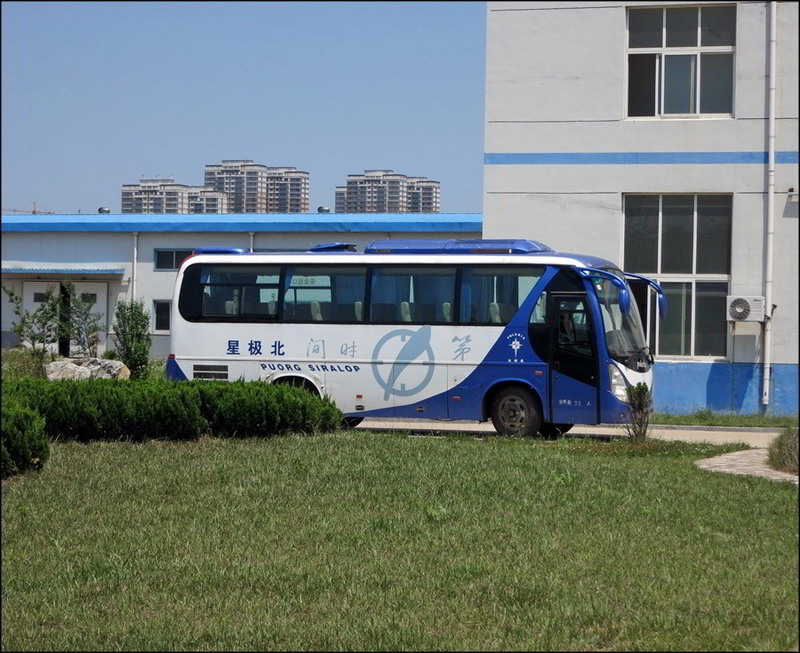 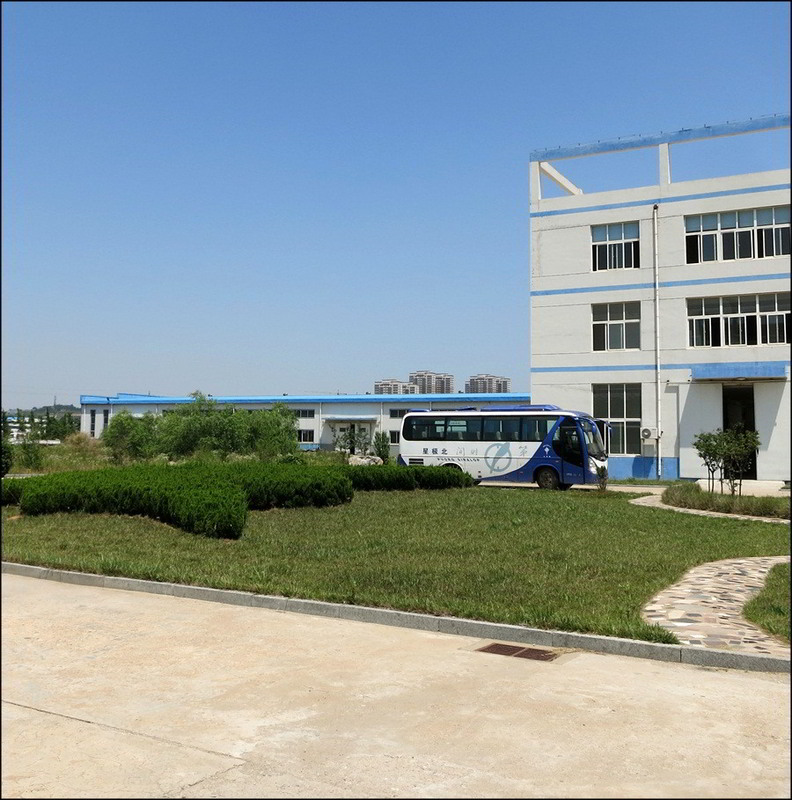 The bus was Polaris/Beijixing's first employee bus, and it's still used occasionally. 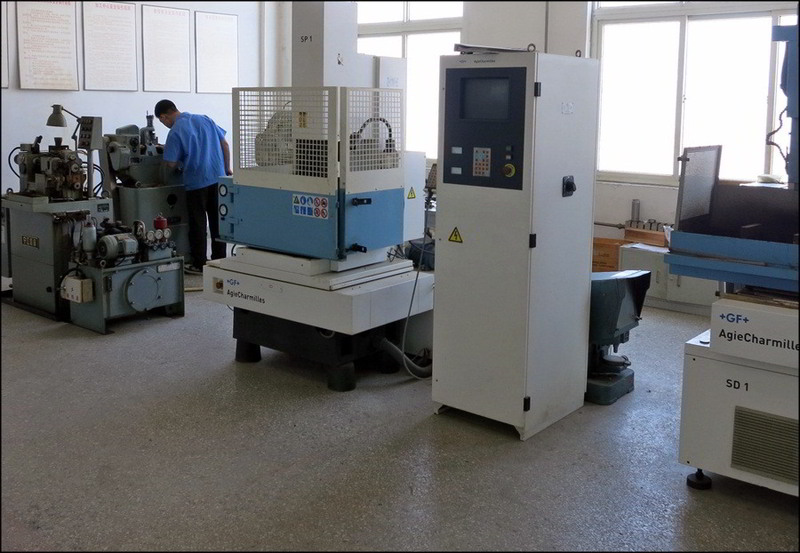 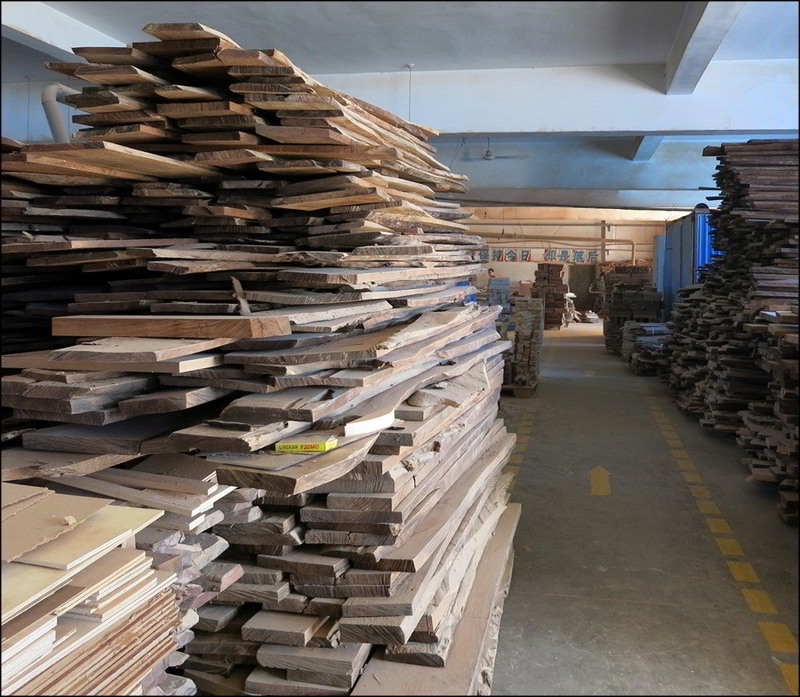 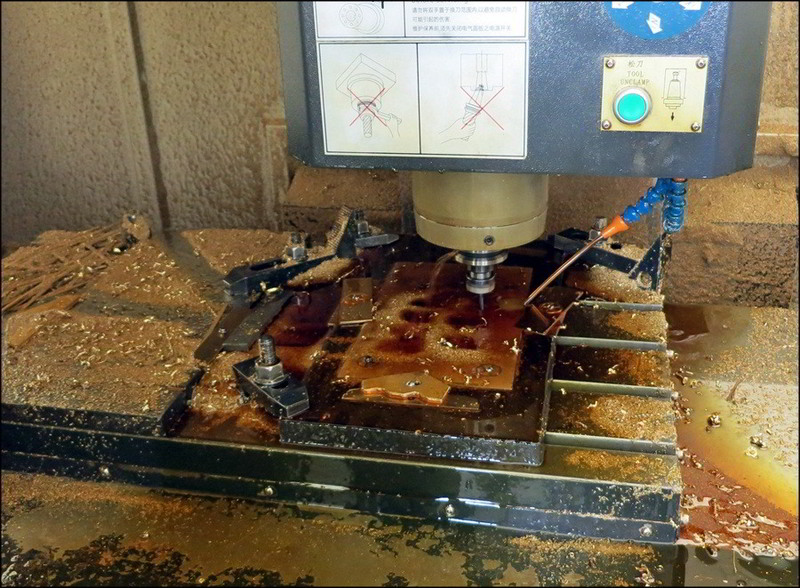 The following are photos of the production facilty at a decidedly non=busy time of day. 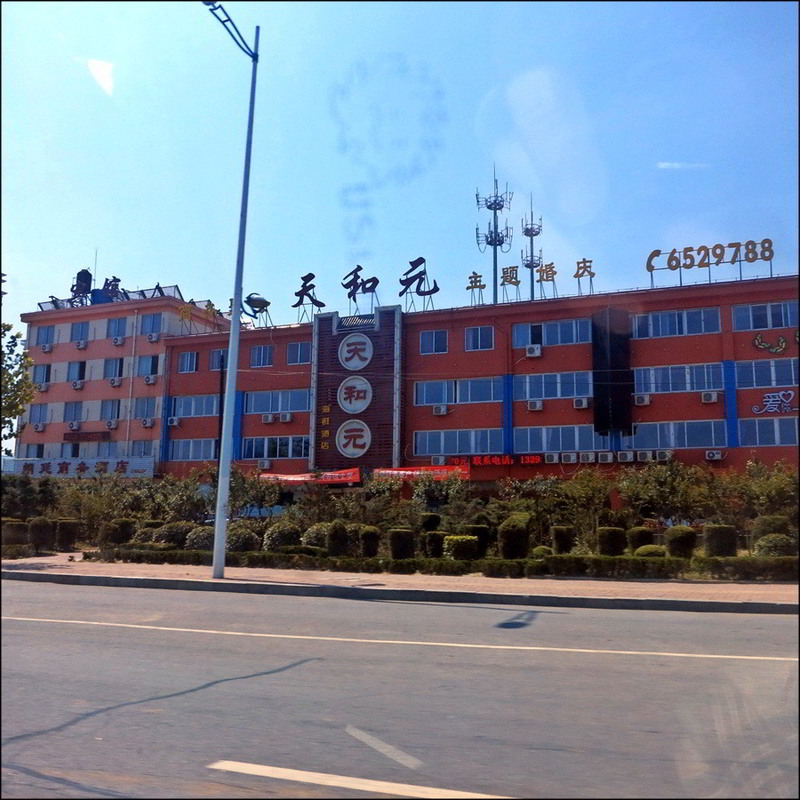 Most workers were grabbing a morning break. 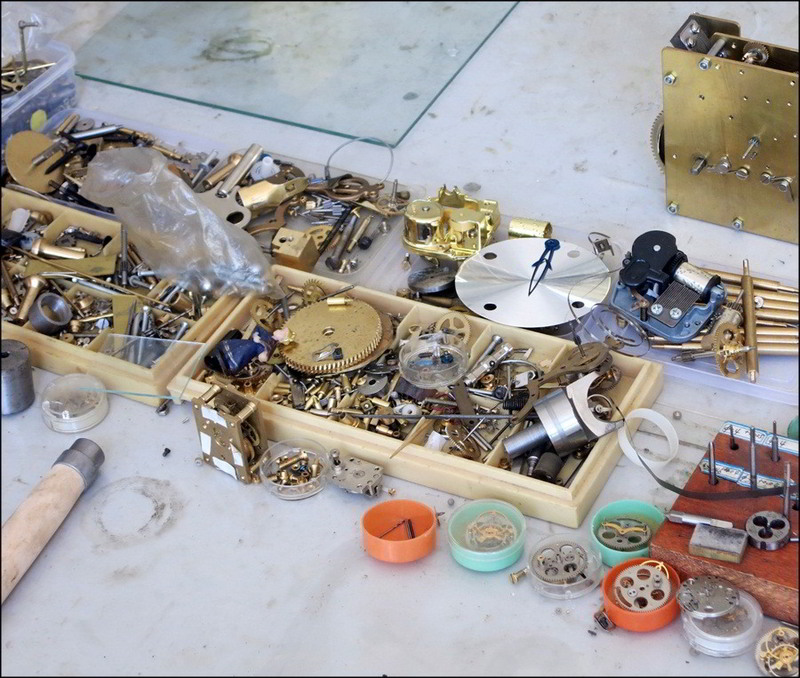 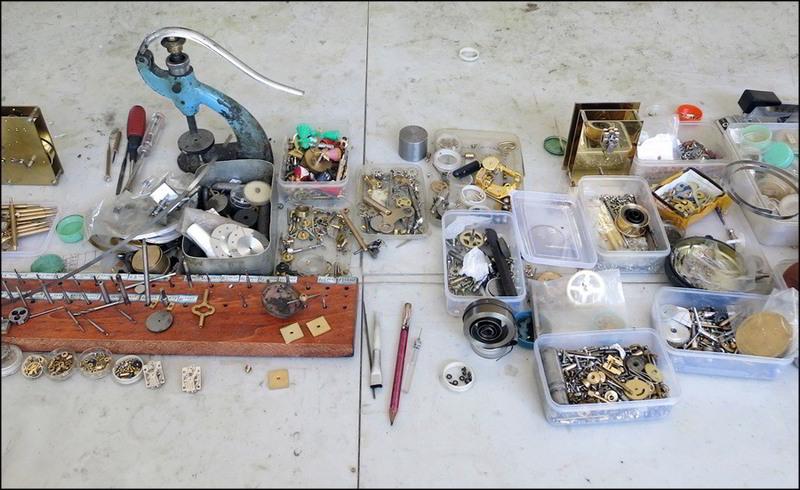 Still, it's obvious that making and assembling these movements is a skilled industrial process including with lots of hands-on assembly of the finished parts. 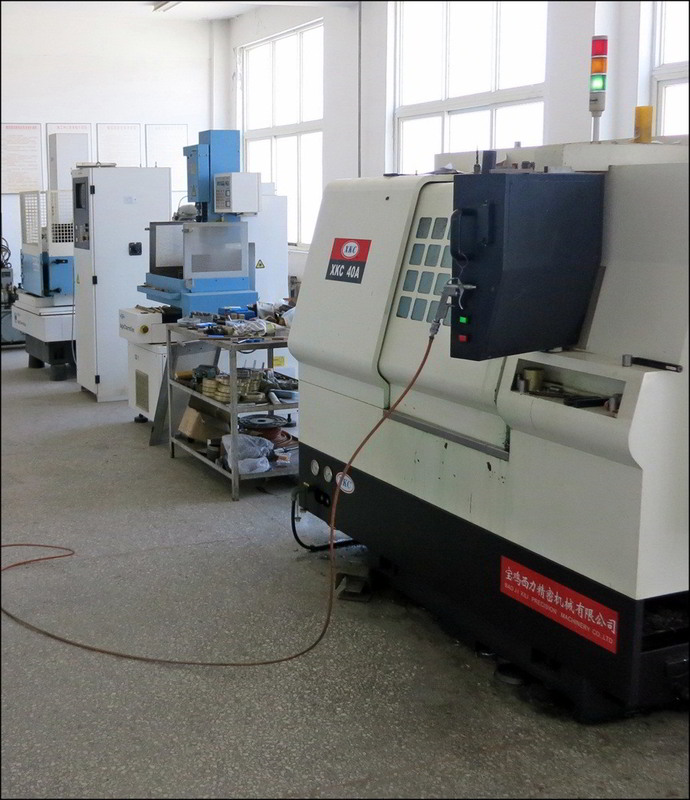 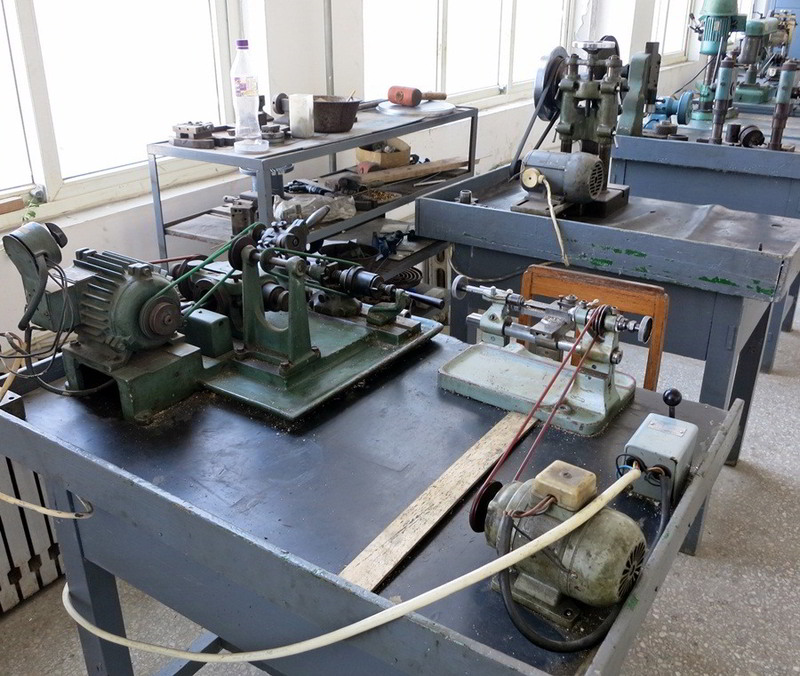 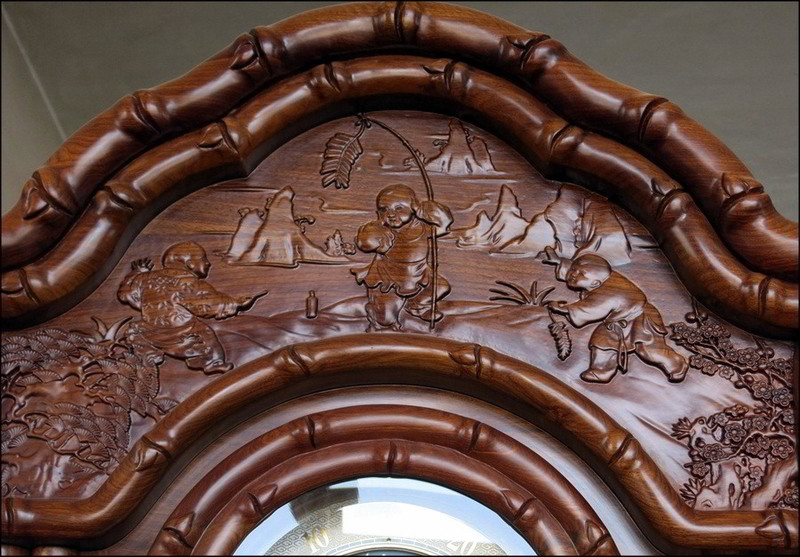 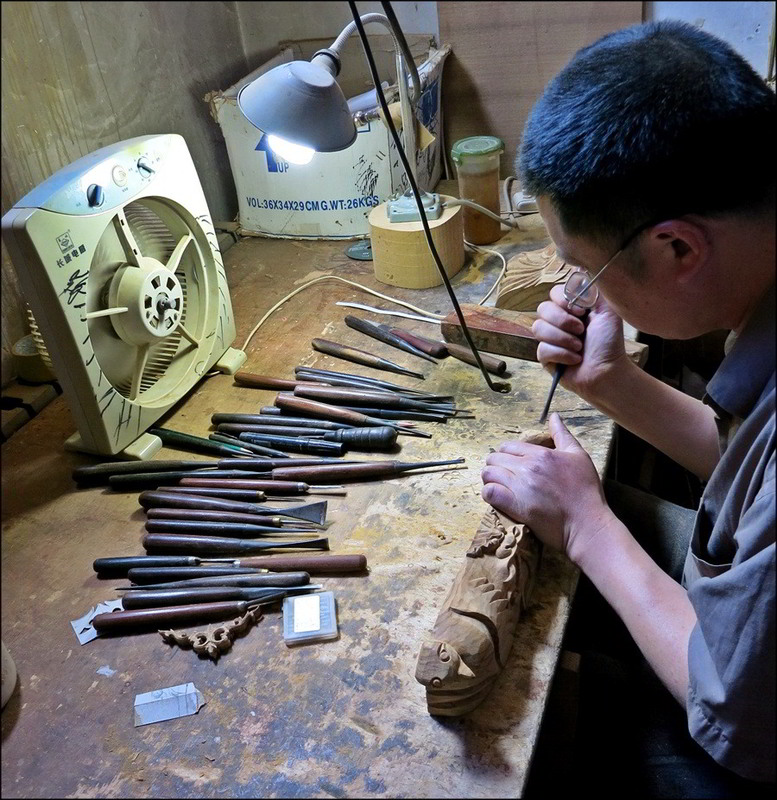 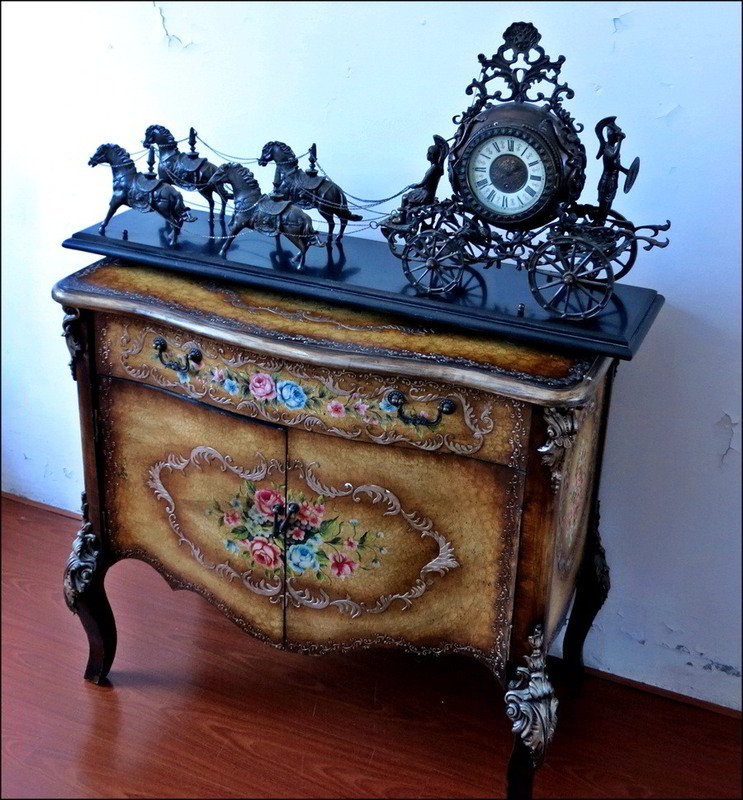 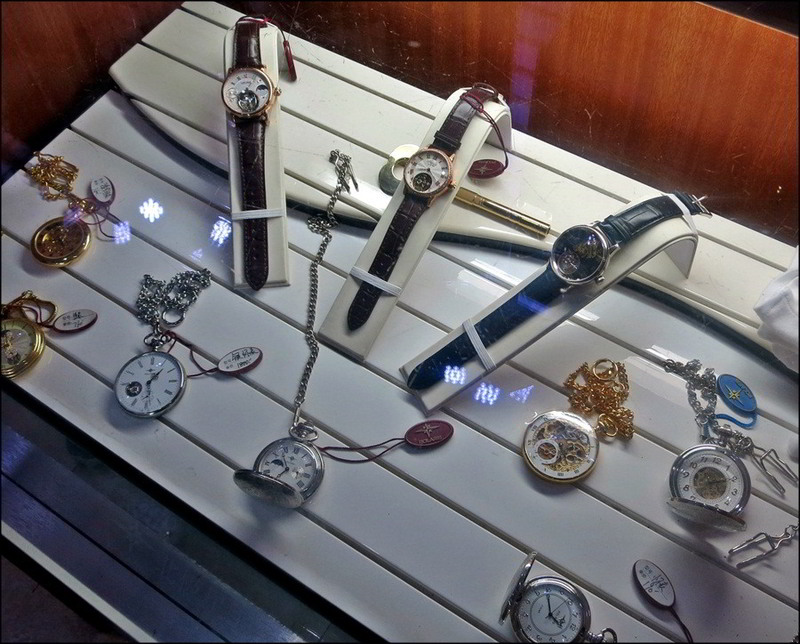 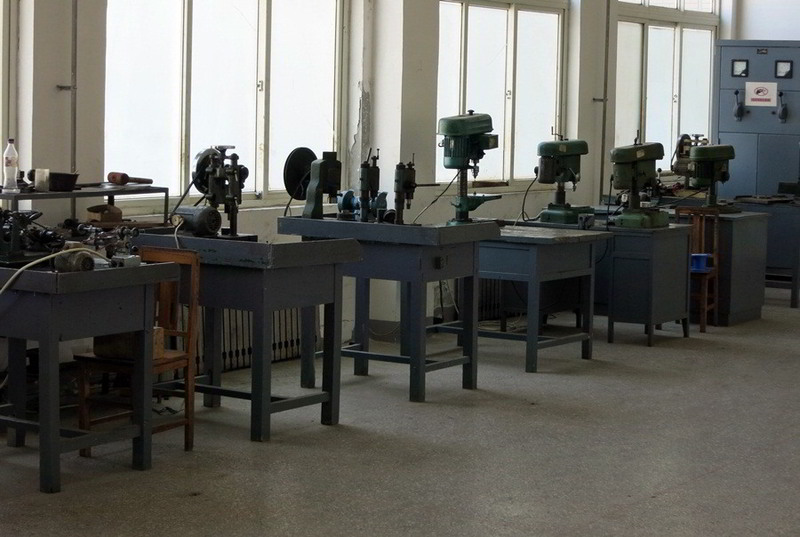 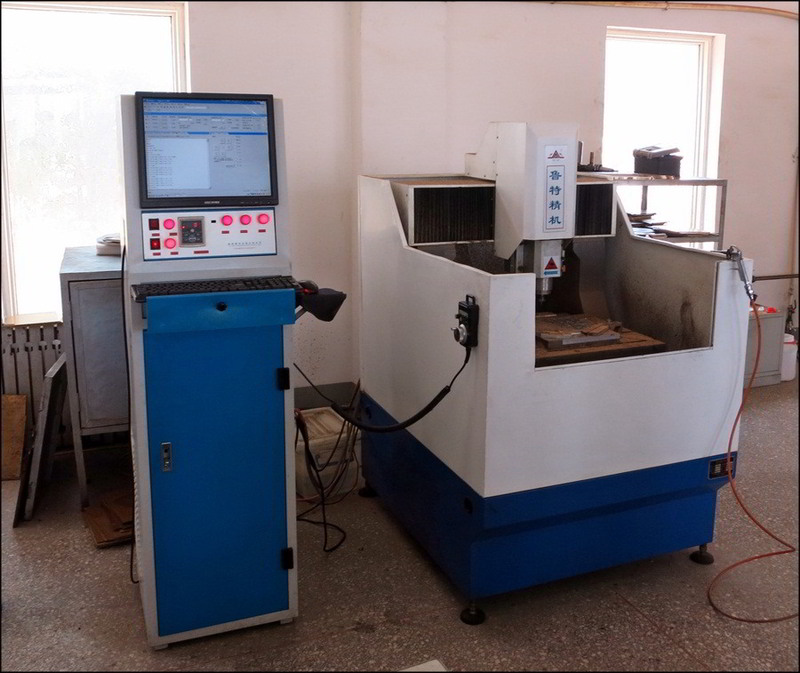 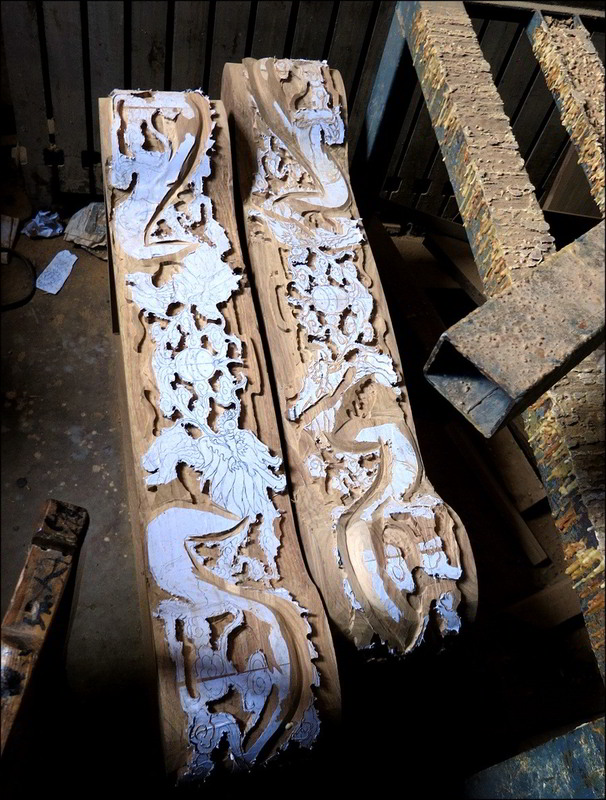 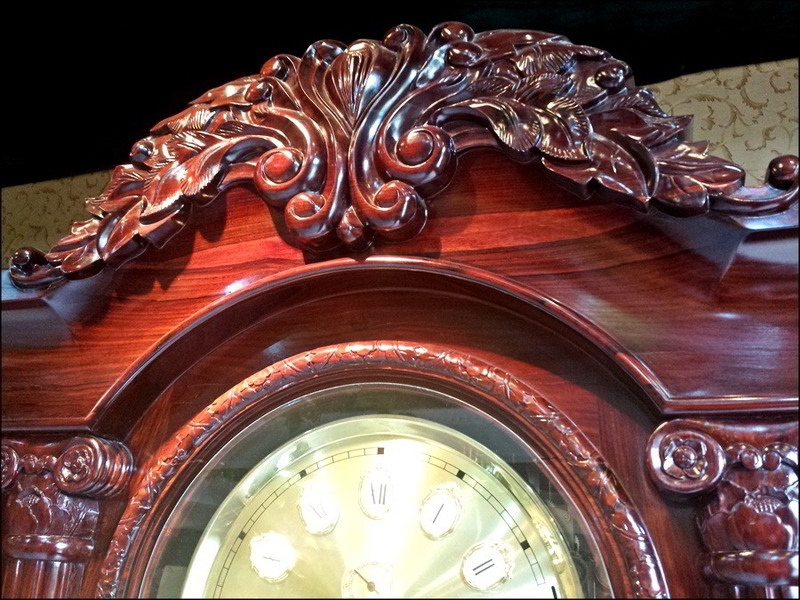 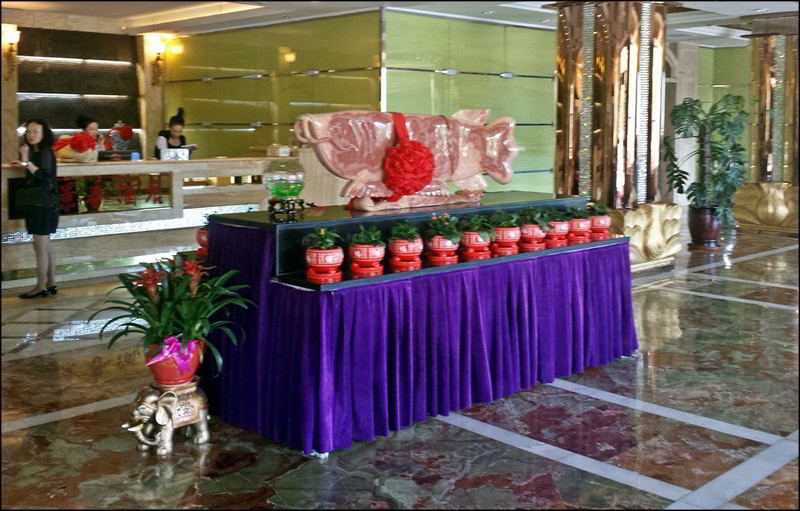 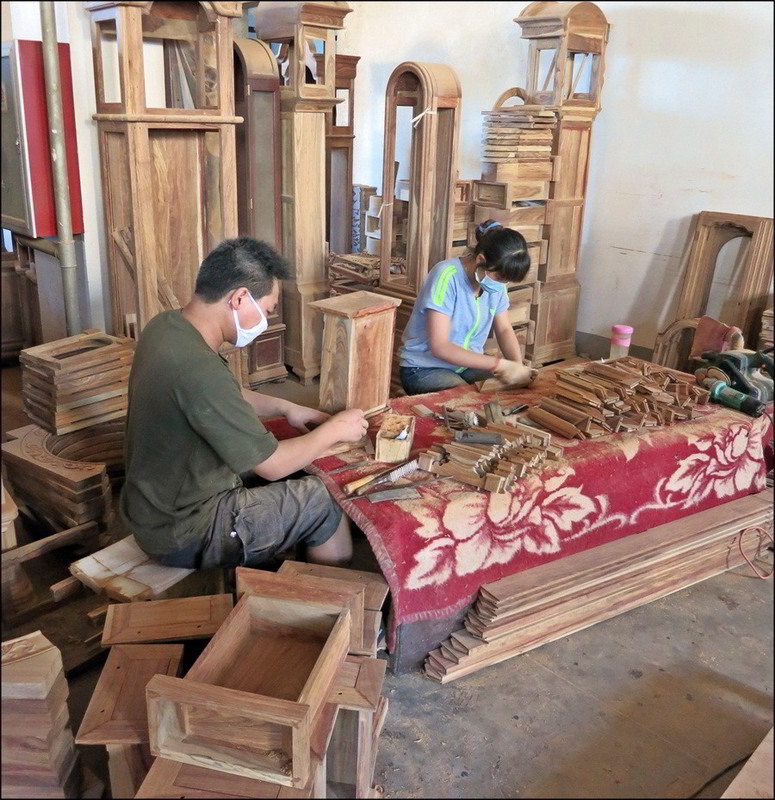 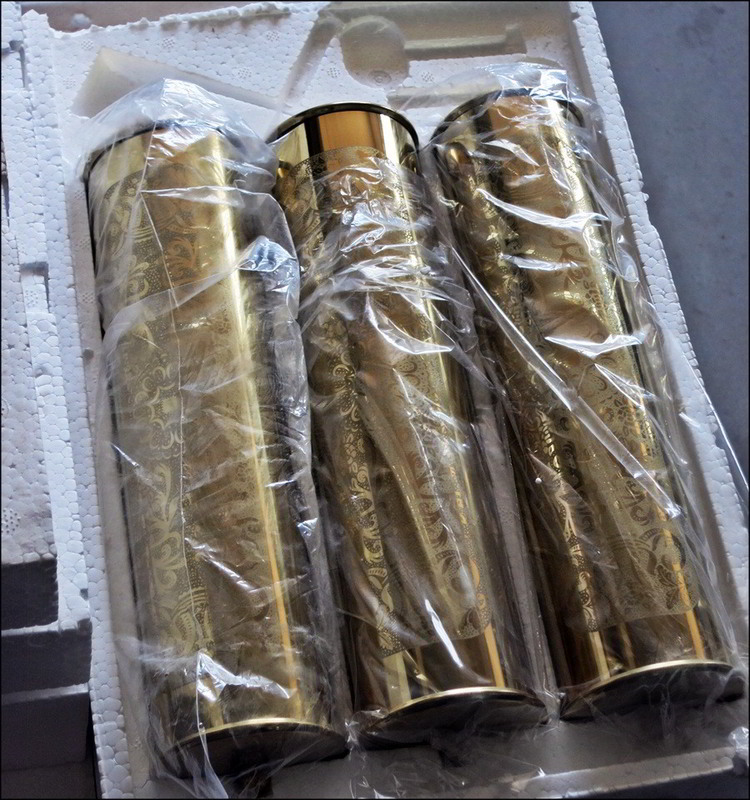 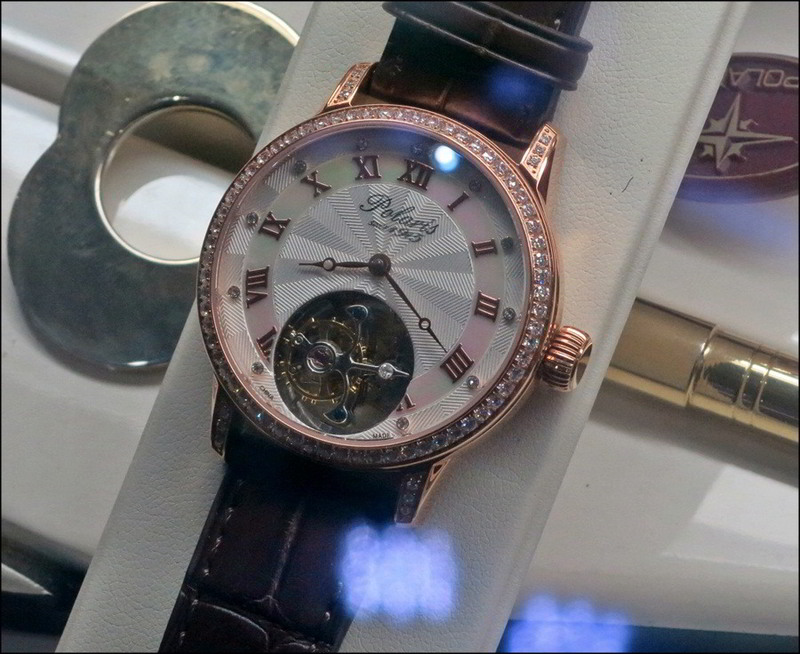 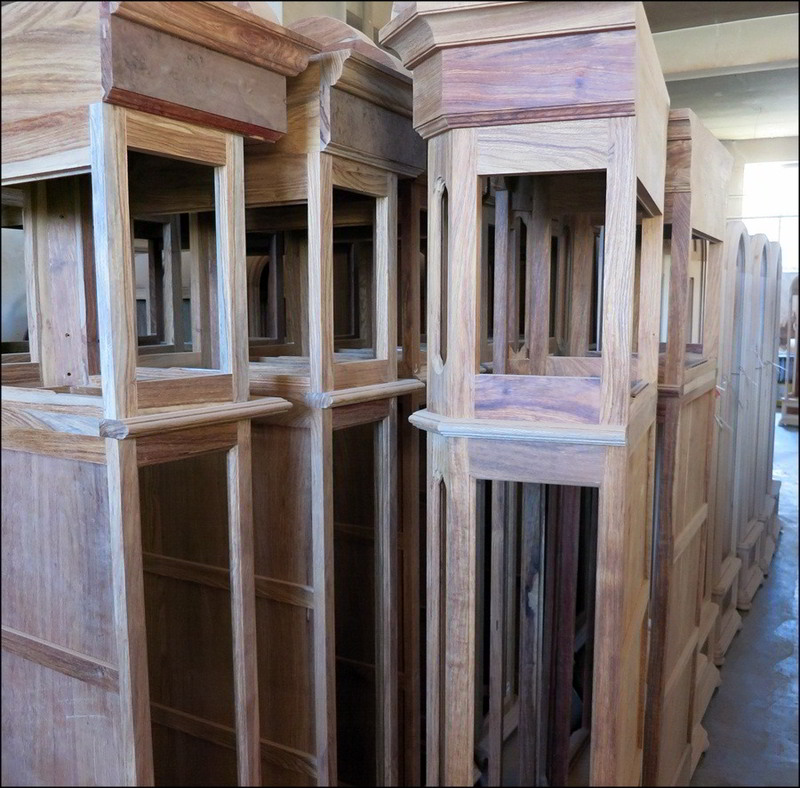 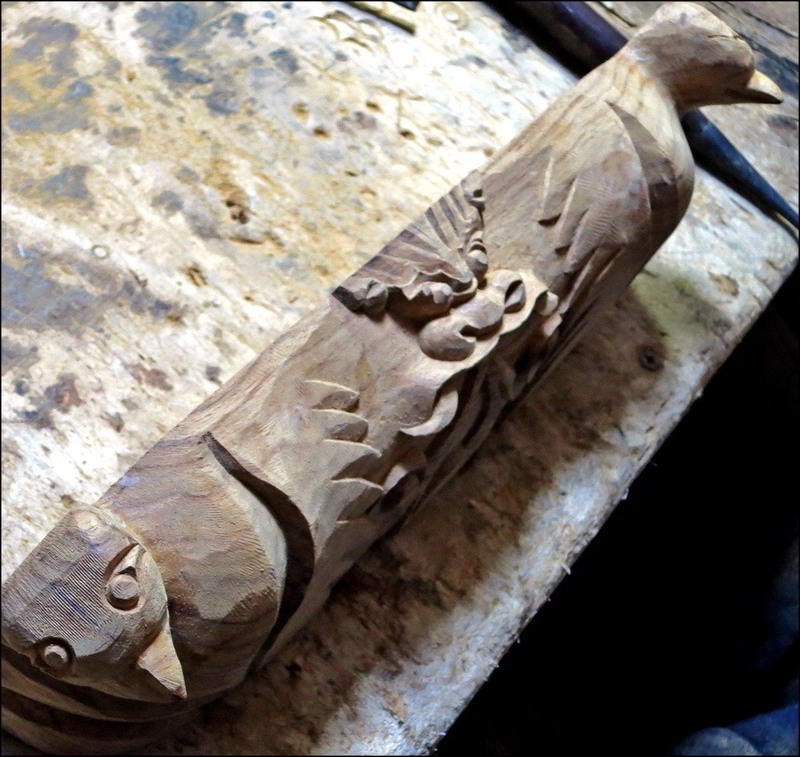 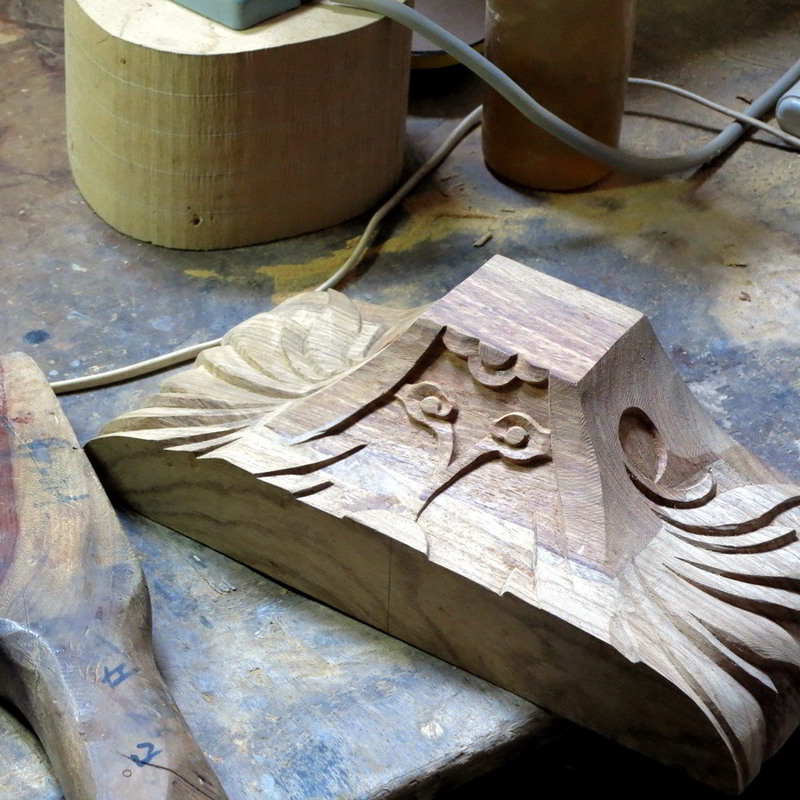 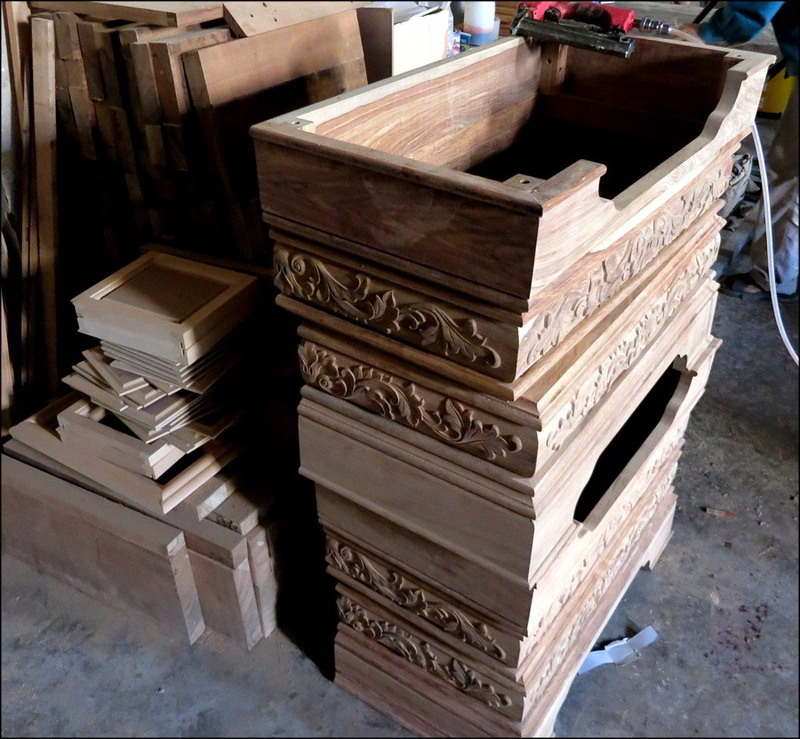 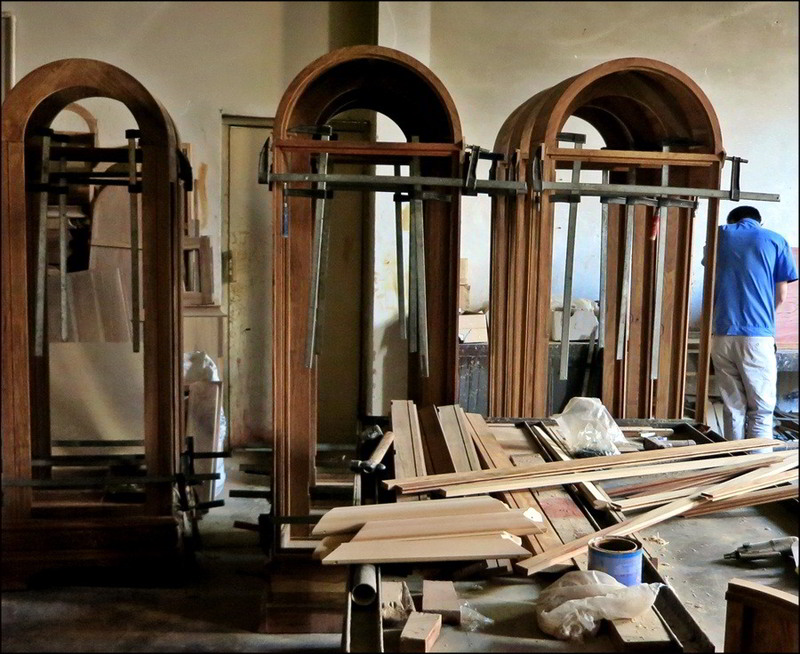 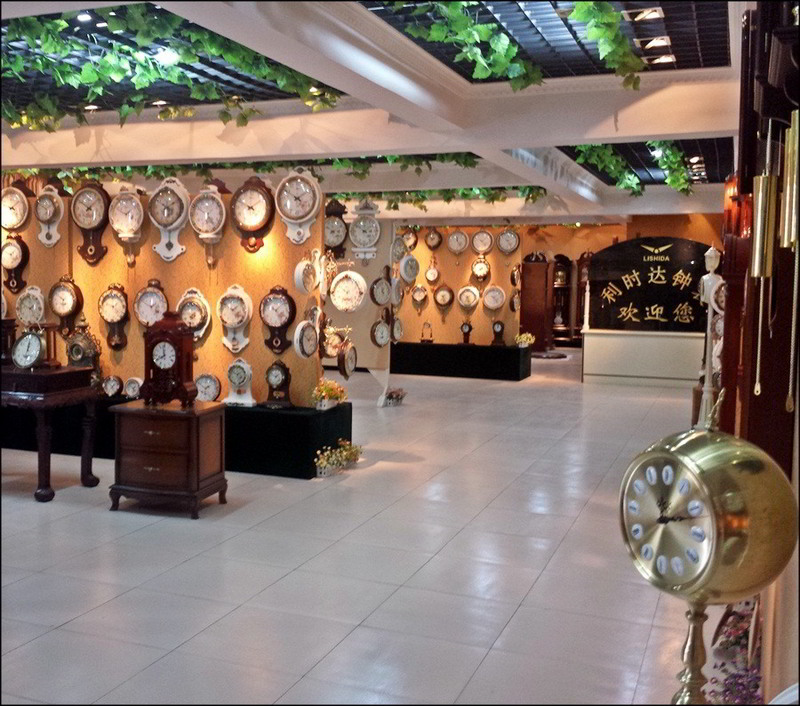 This is a similar movement to the one seen in Mr. Li's Tianjin shop, with one major difference. 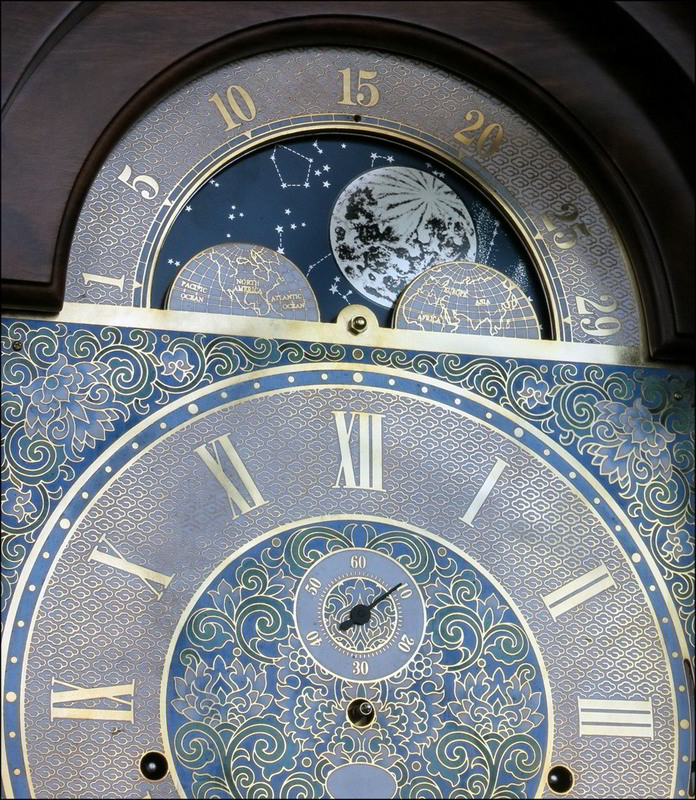 In this -- and in most clocks that look like this -- the alternating plate is for show but has no effect on the actual movement. 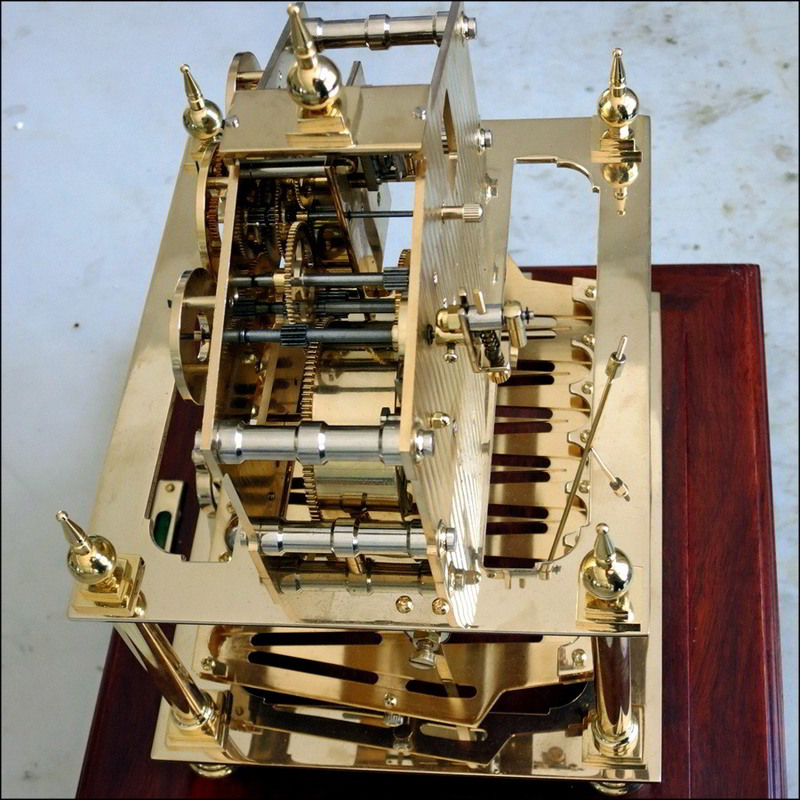 As I noted previously, slotted alternating plate movements are brutally hard to keep accurate as any temperature fluctuation changes the travel length for the ball, which is what would set he mechanism's timing...if it was real. 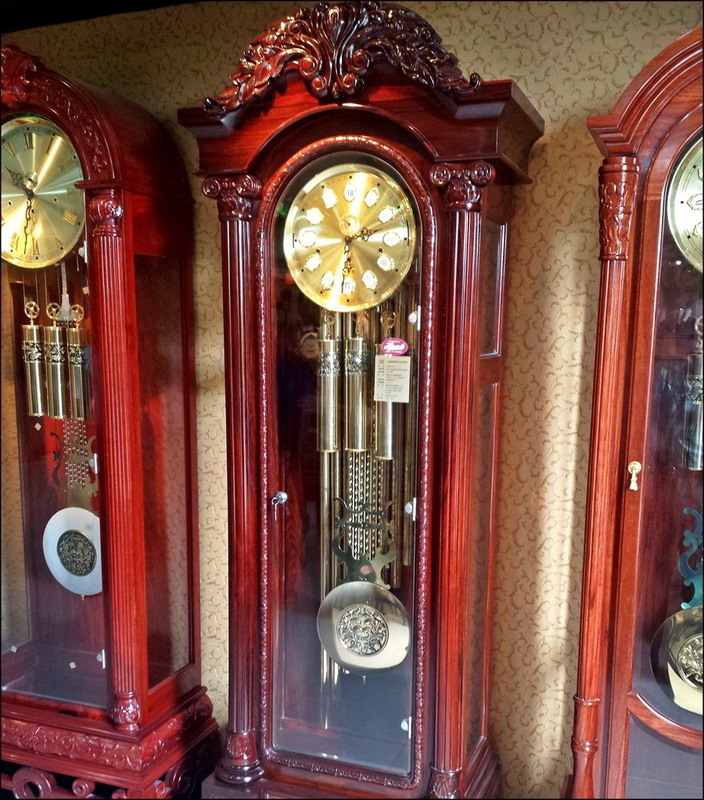 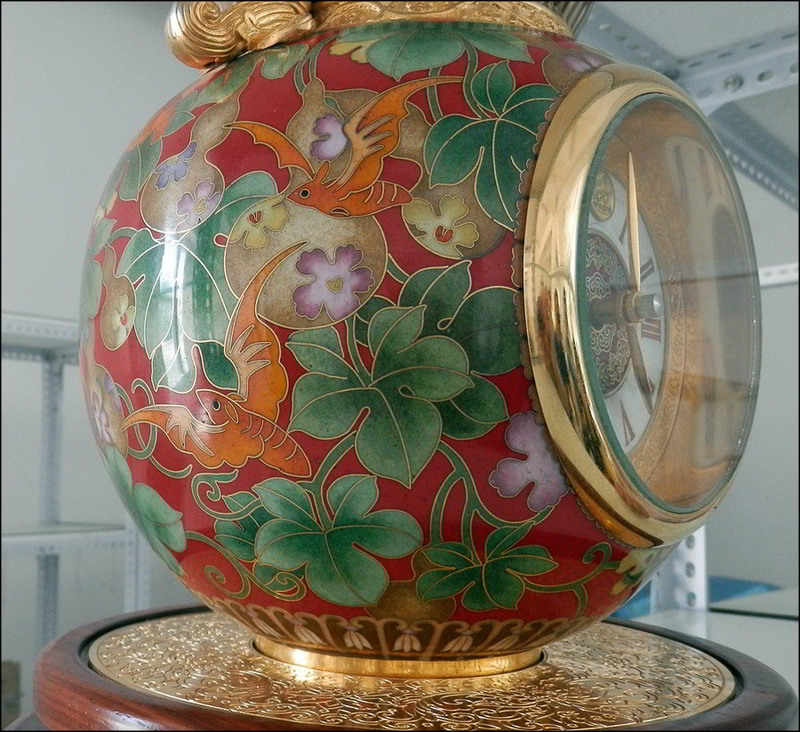 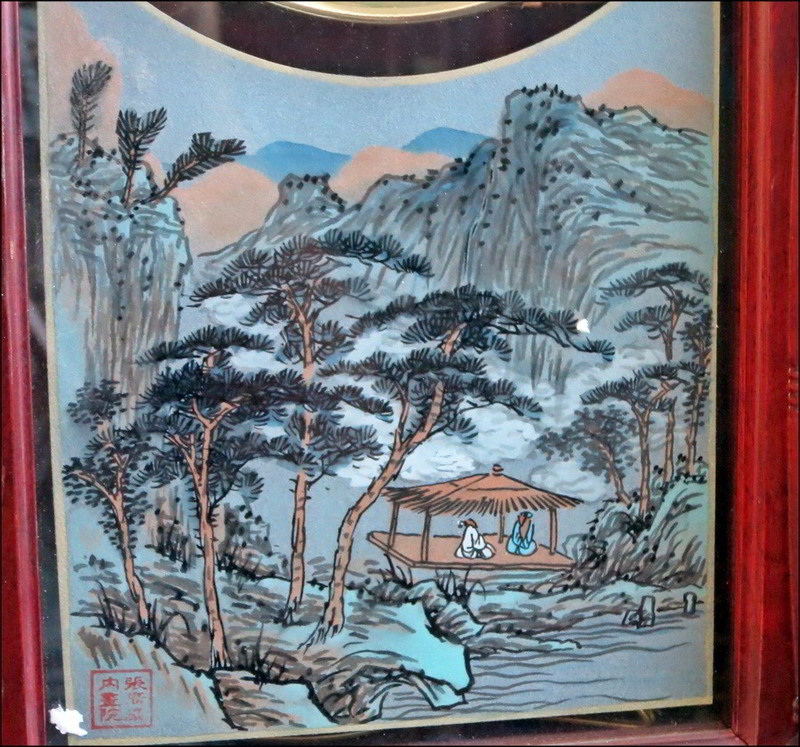 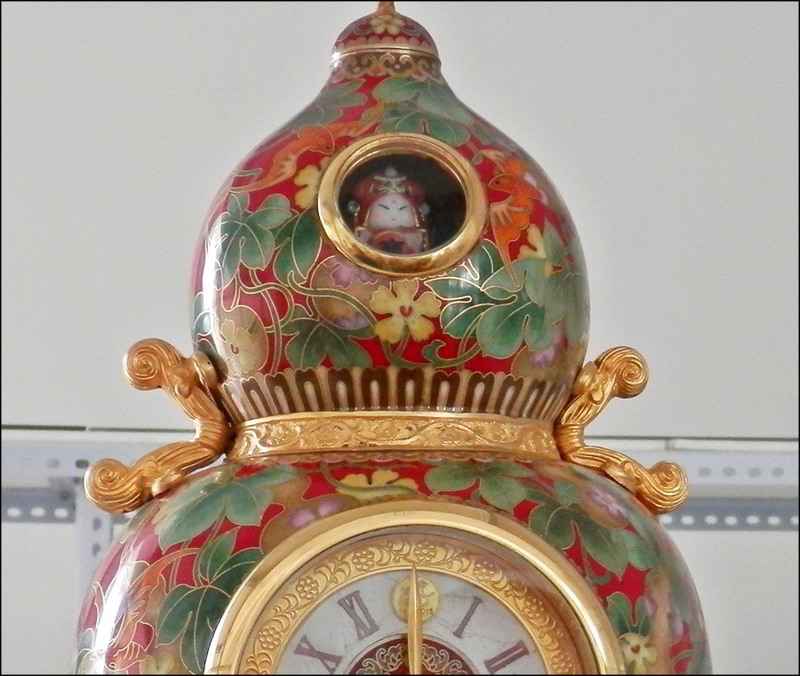 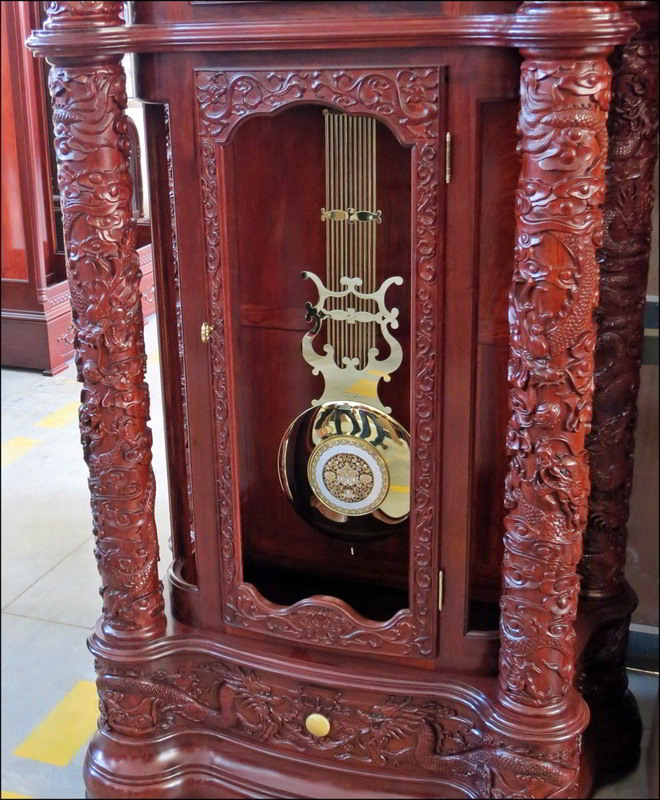 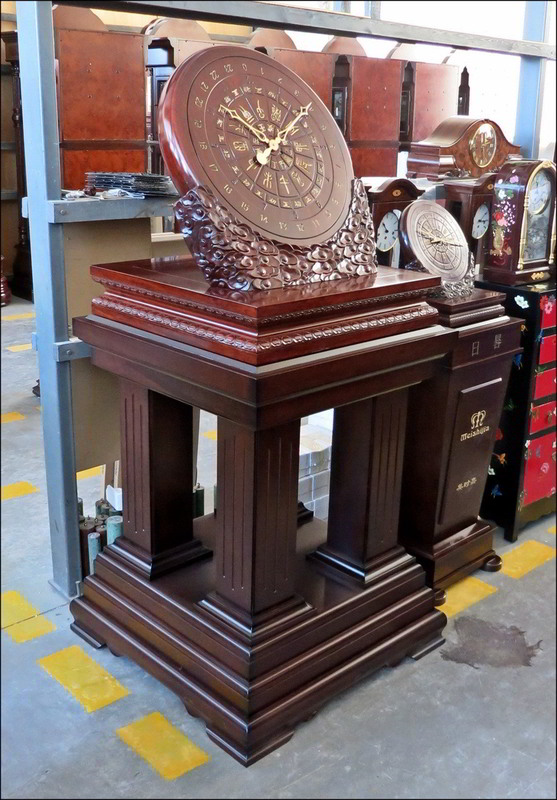 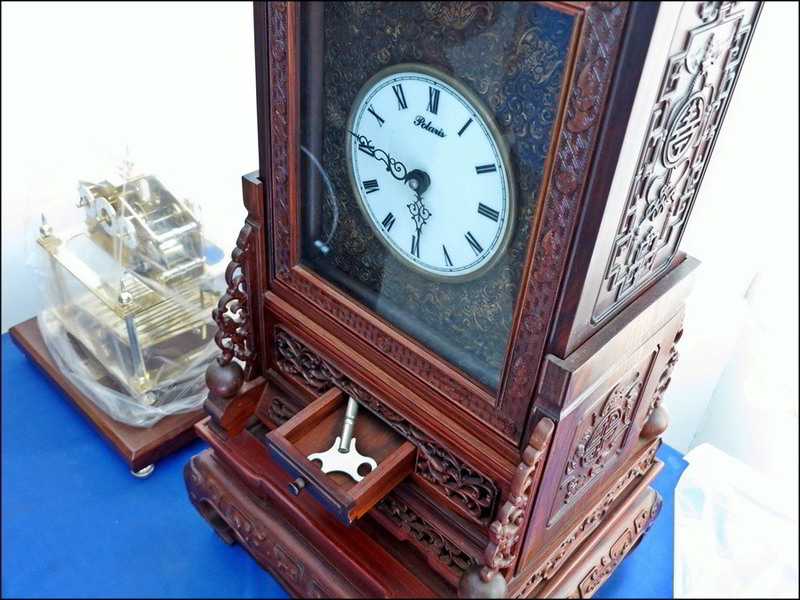 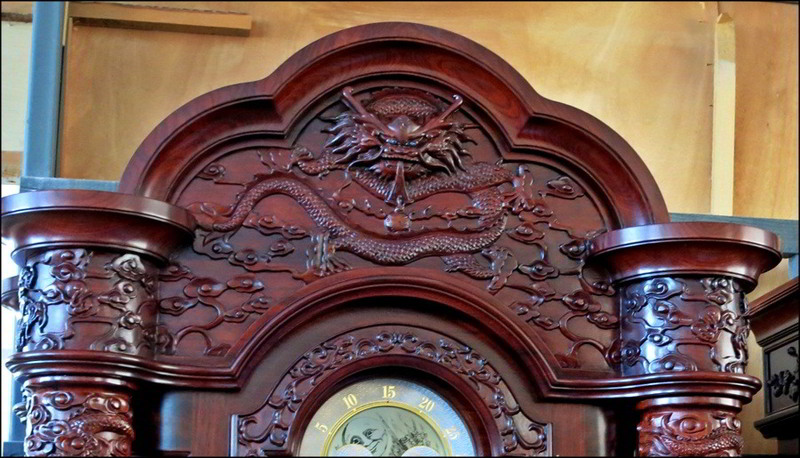 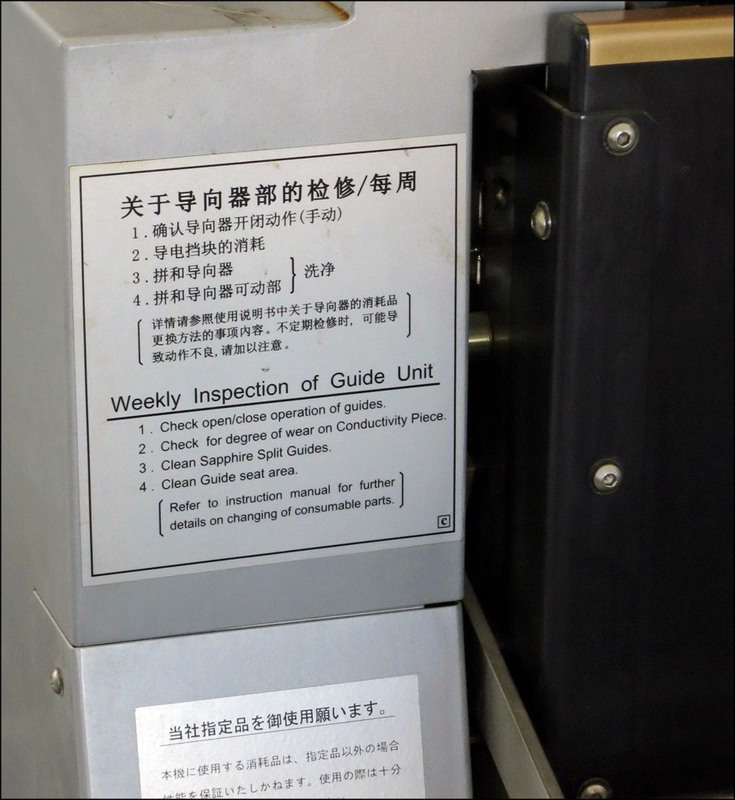 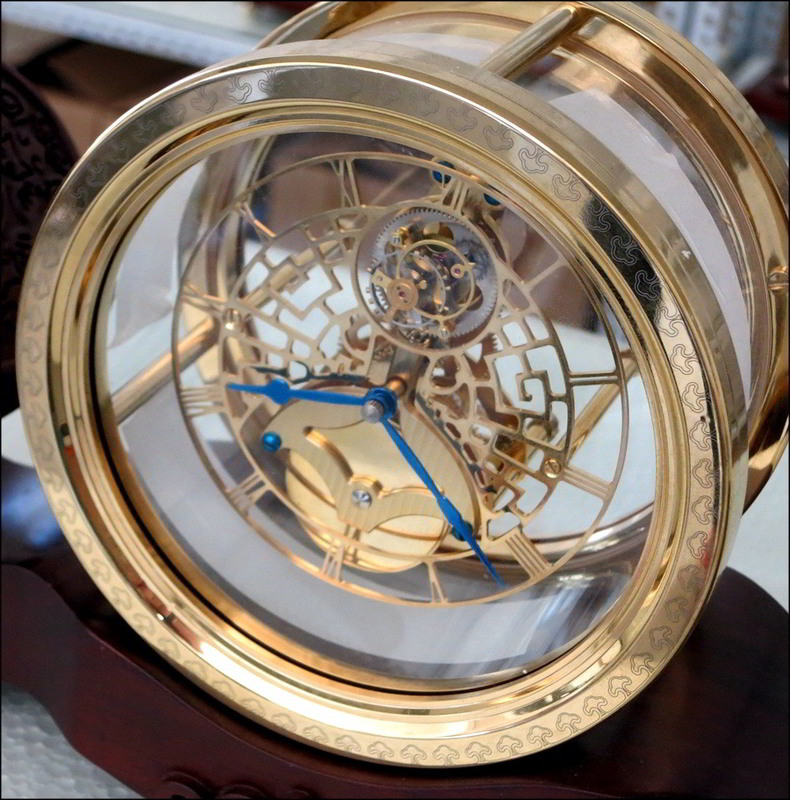 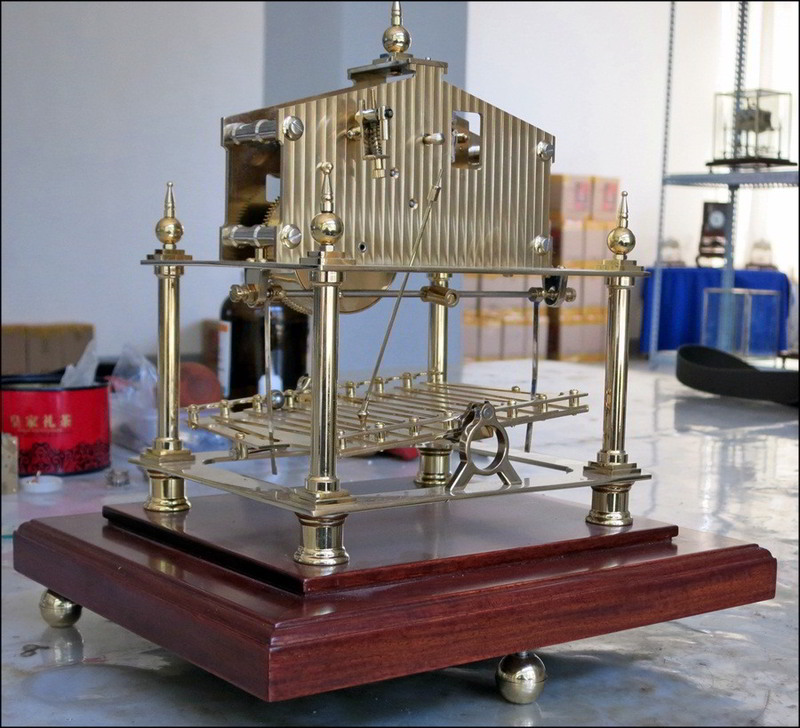 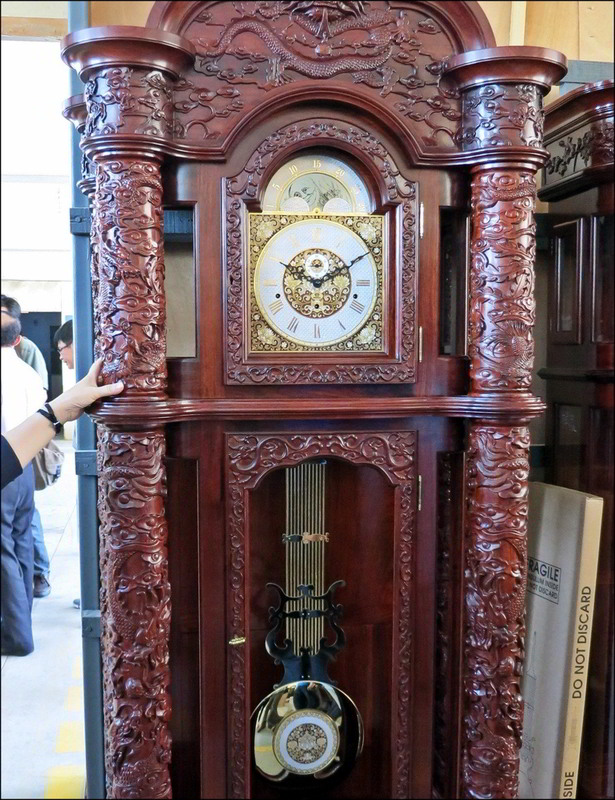 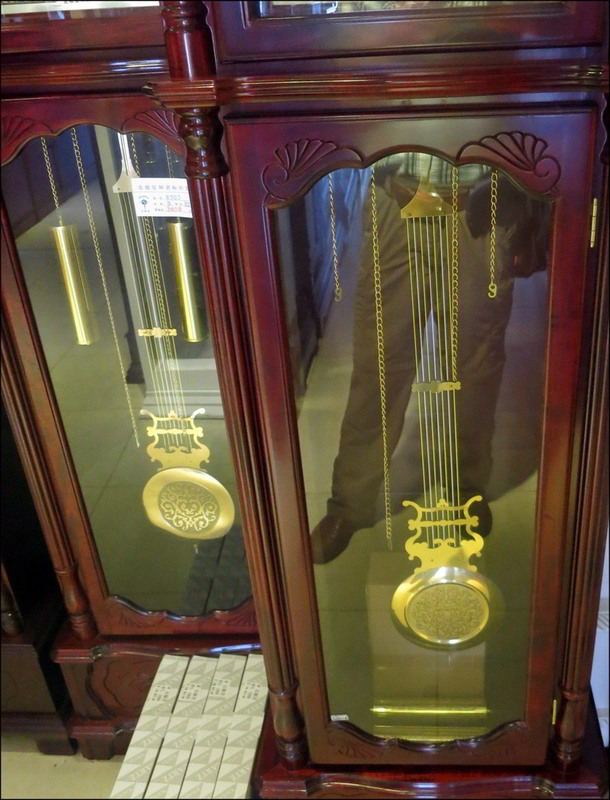 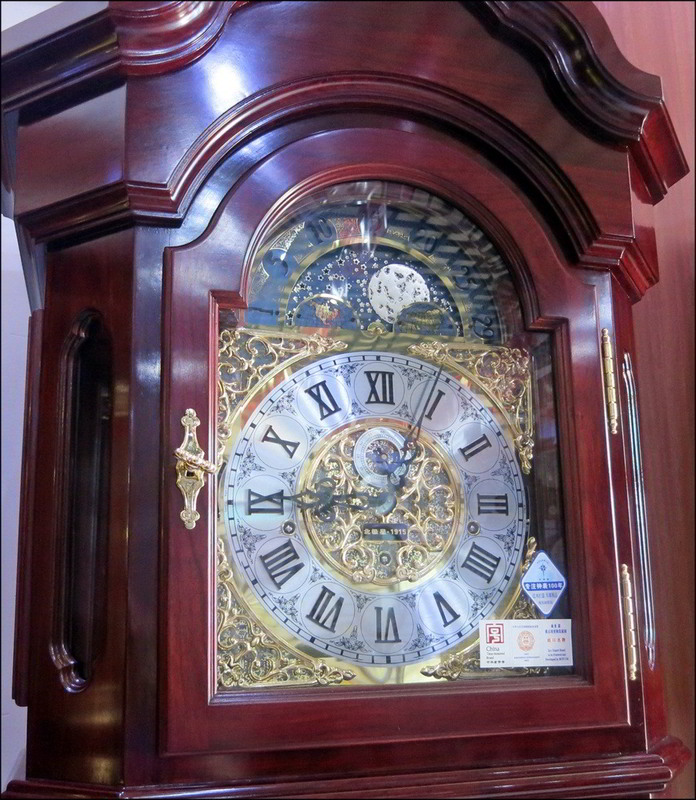 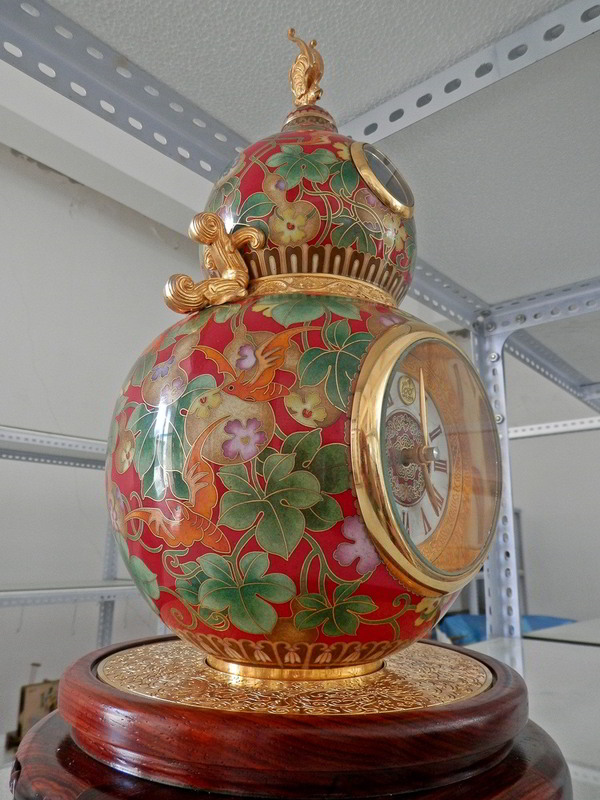 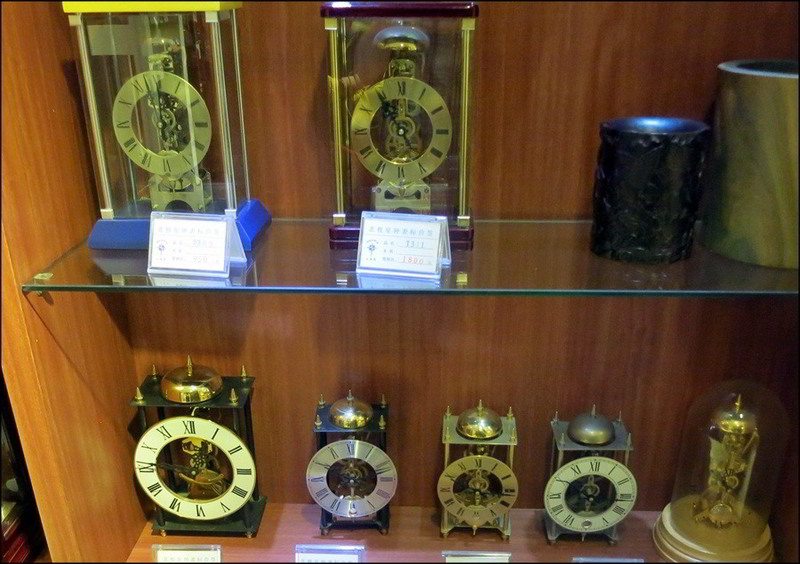 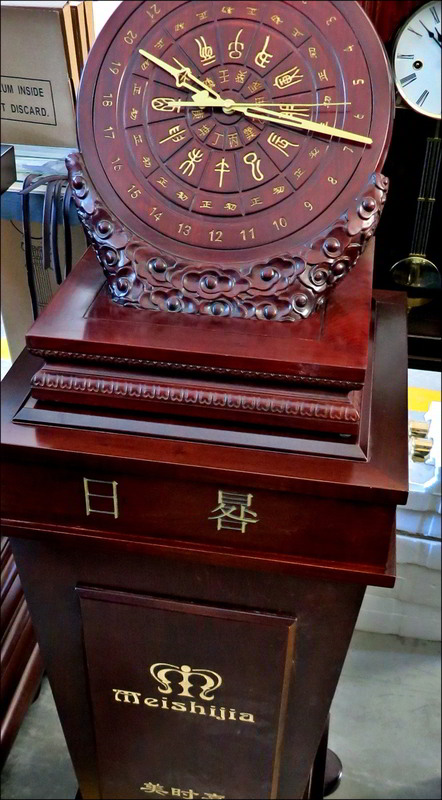 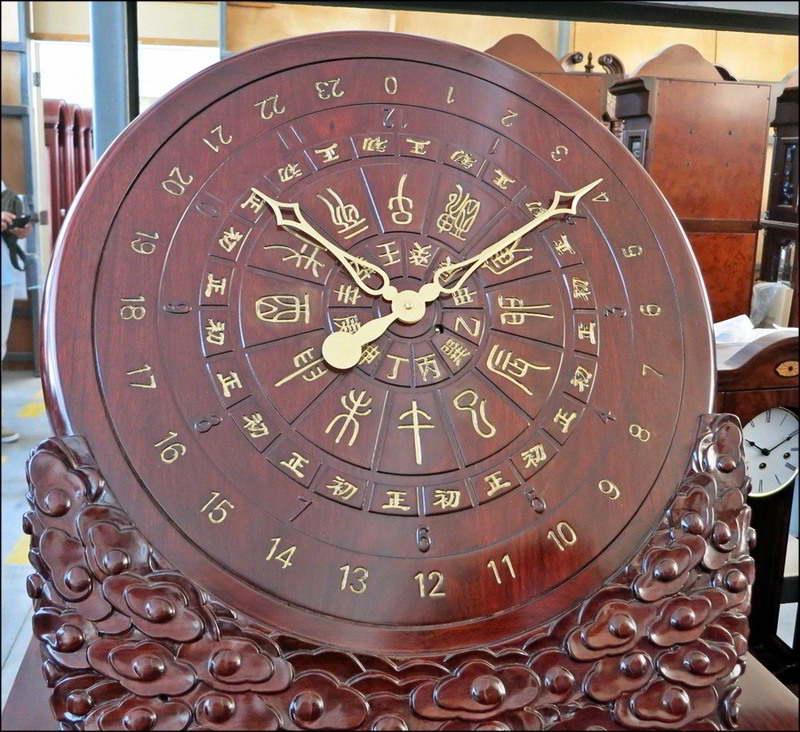 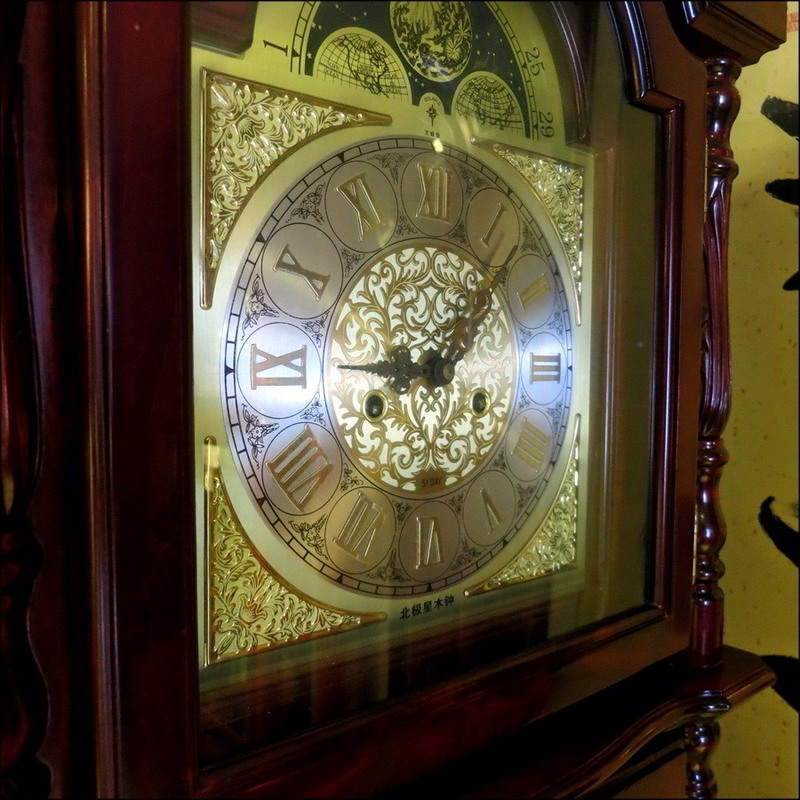 ...and numerous examples of other mechanical clocks produced by Polaris/ Beijixing. 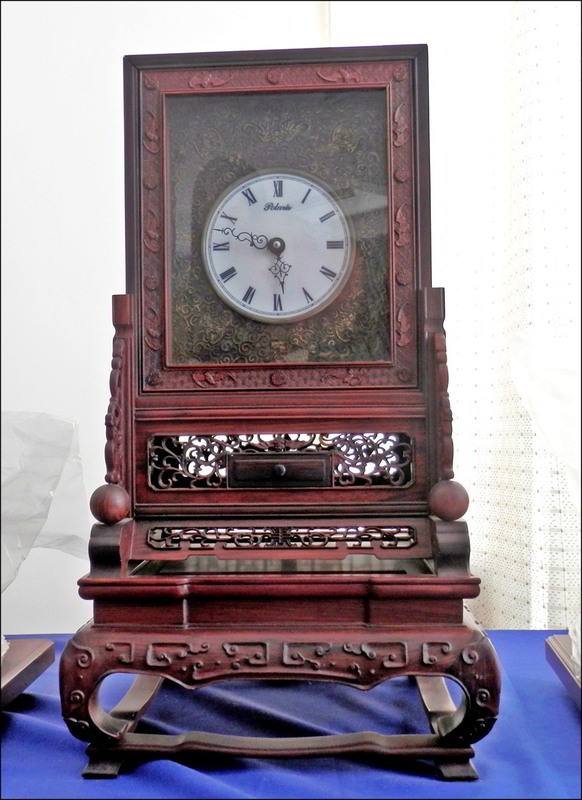 The next two photograpsh are pf an older "Guangzhou clock", kept here for reference. 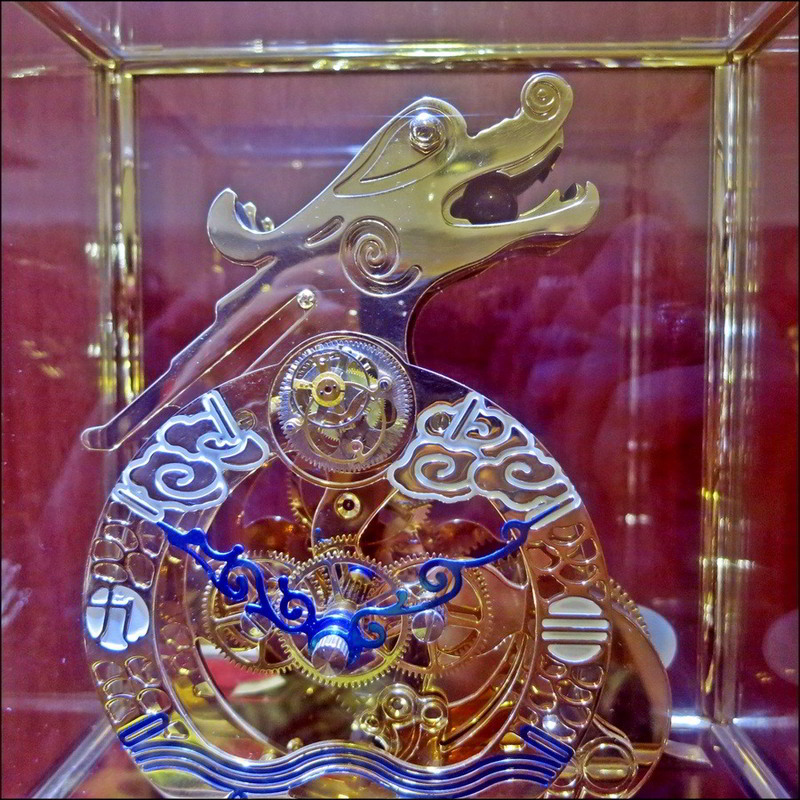 the next four photos are of Polaris/Beijixing's spectacular 100th Anniversary Limited Edition clock with high quality enamal that's rife with Chinese symbolism, and with a remarkable rotating movement section at the top, designed specifically for this clock alone with mechanically bowing chubby babies, a classic Chinese sign of good fortune. 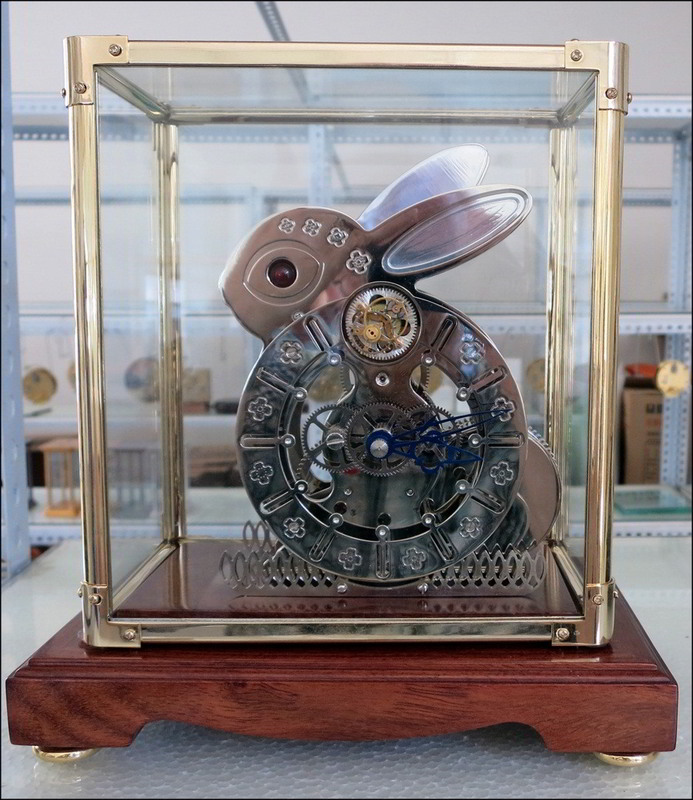 I've seen the internal rotating mechanism for the top section and it's ingenious and beautifully crafted, but it's design is also a company secret so it can't be shown here. 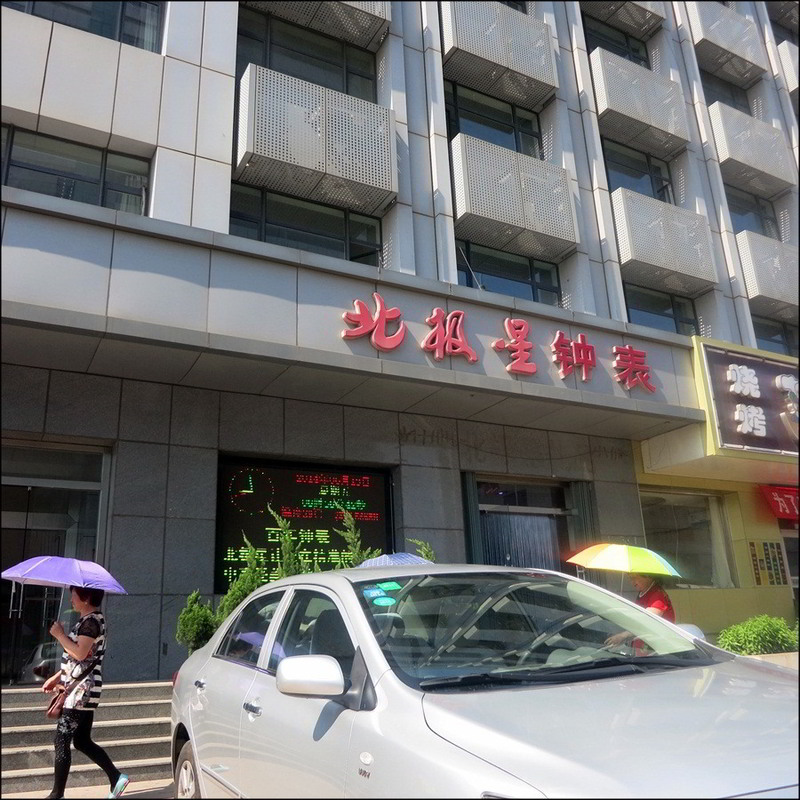 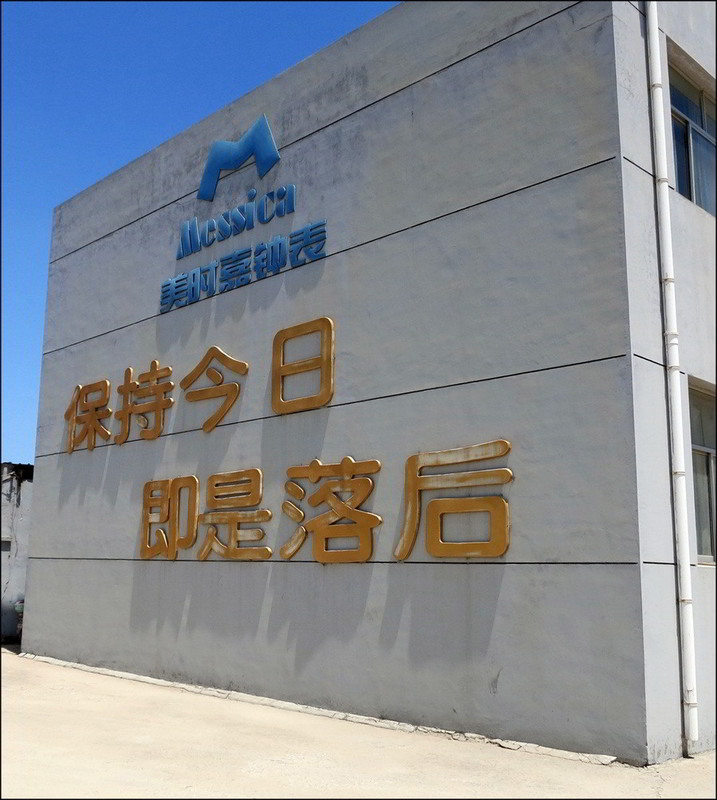 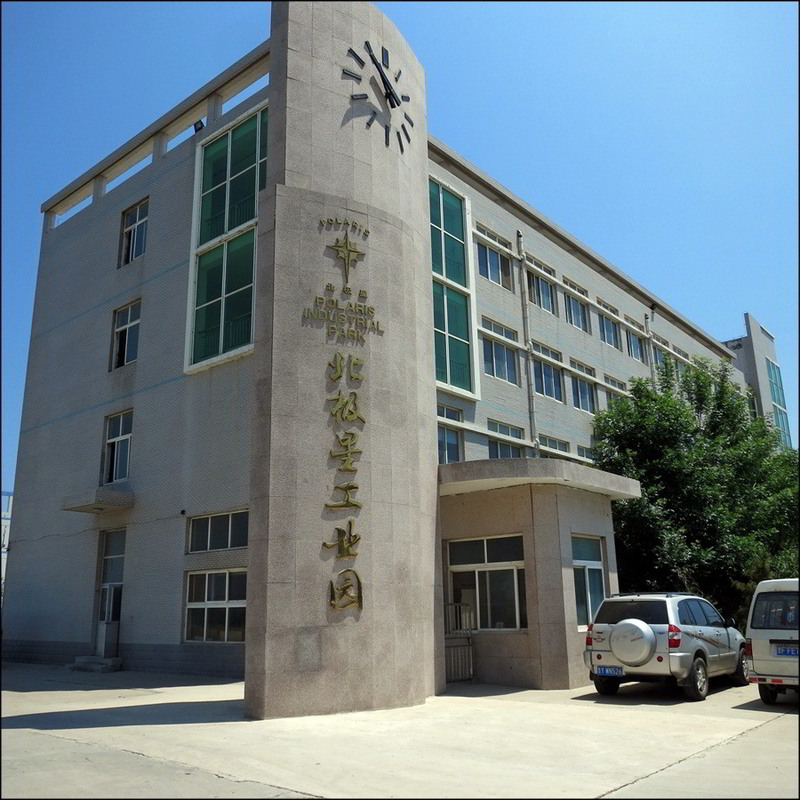 Next stop was the Meishijia/Yantai Messica Timepiece Co., Ltd (a smaller than Beijixing, but important, Yantai clock manufacturer) in the Fushan District of Yantai. 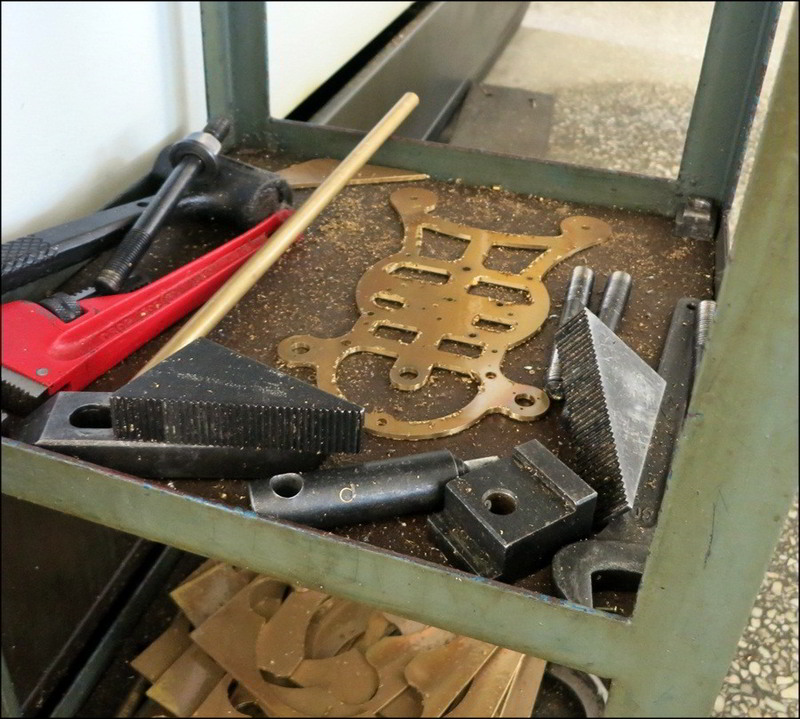 There was lots of hands on work to be seen. 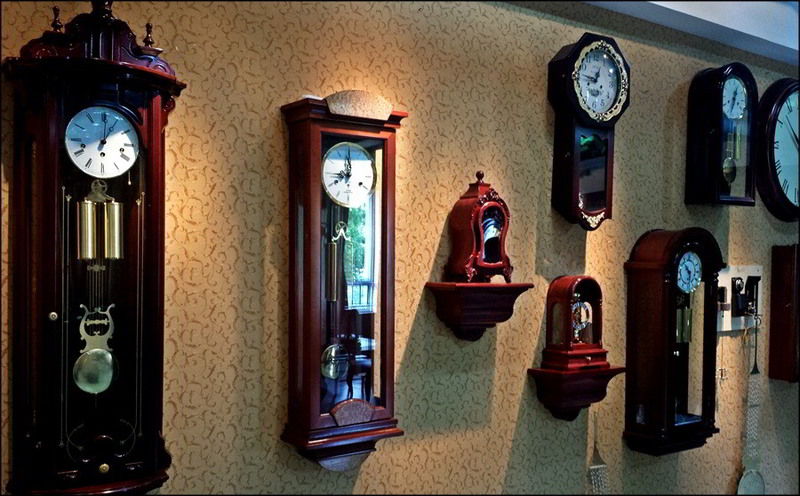 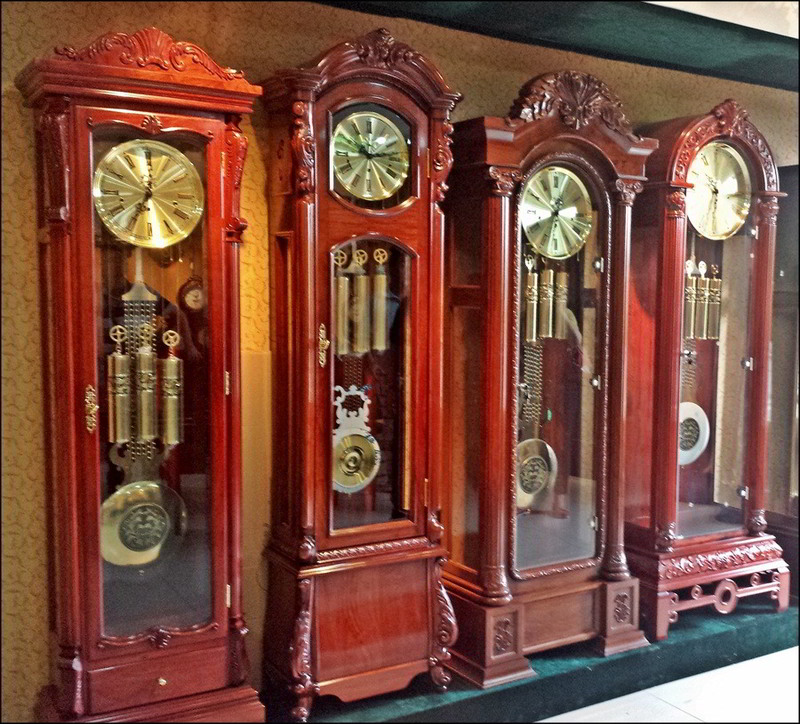 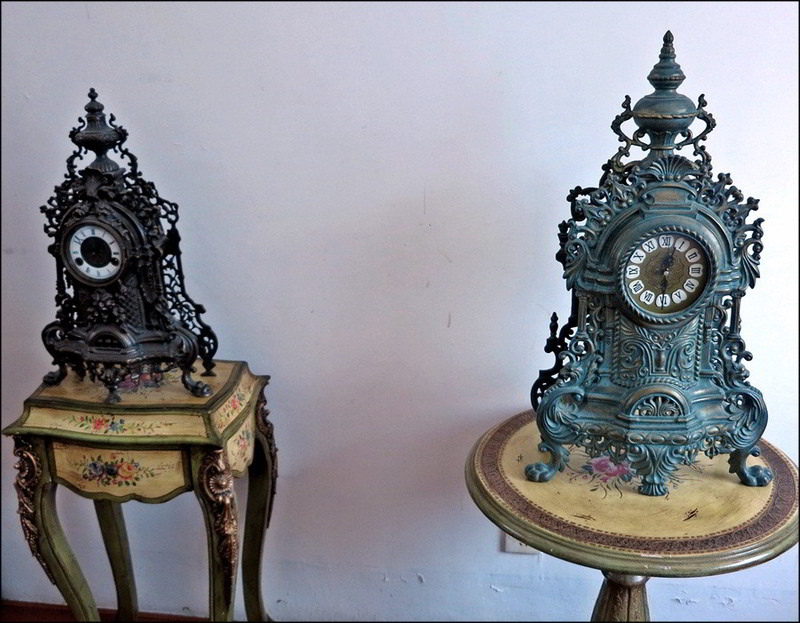 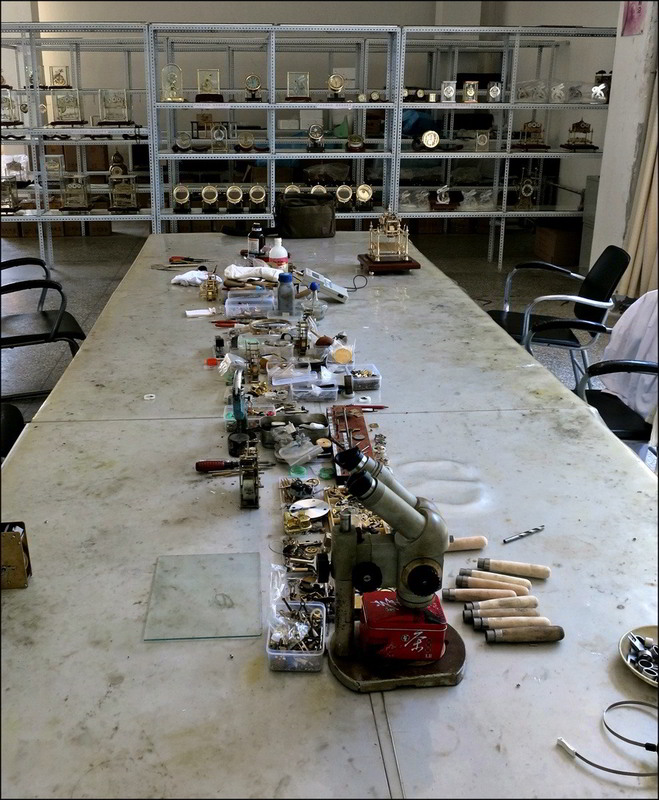 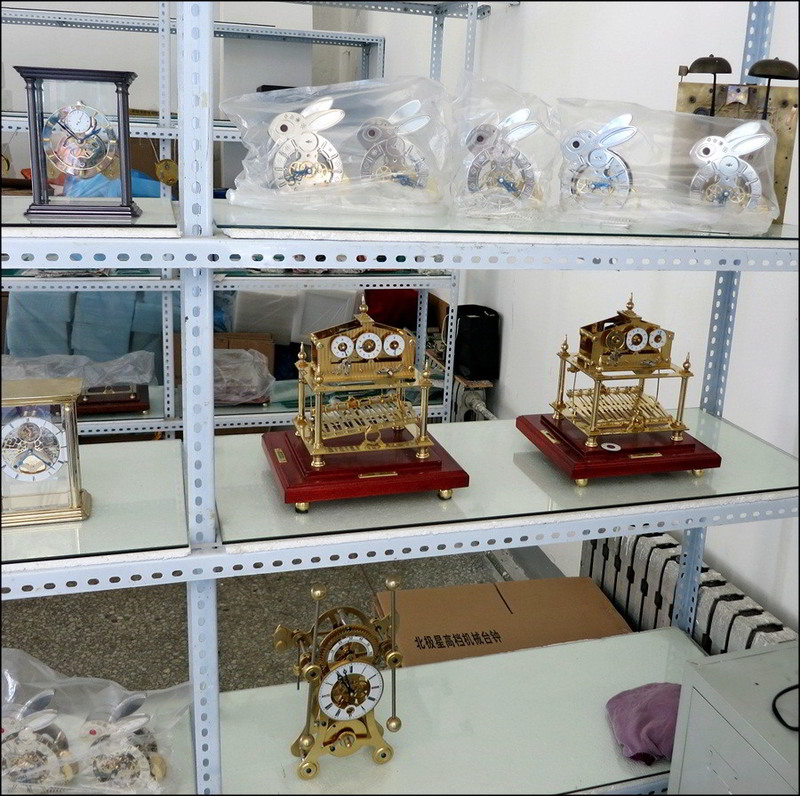 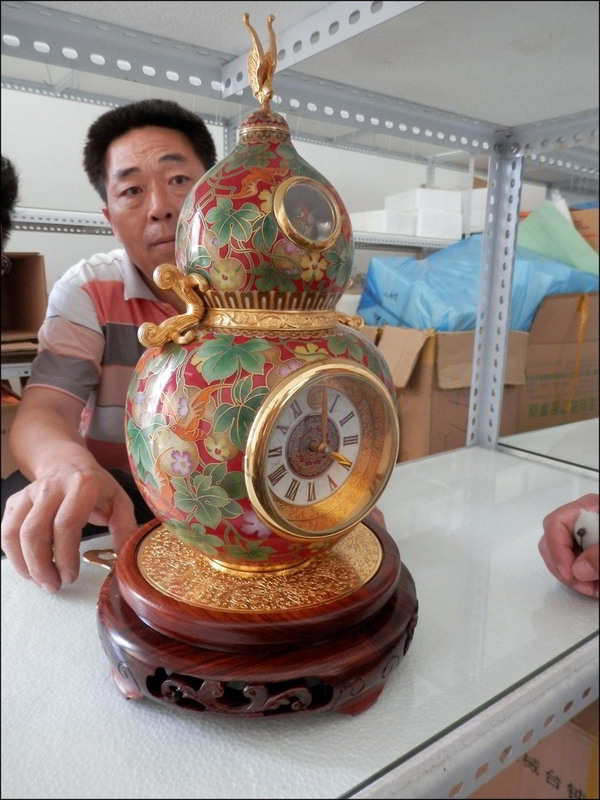 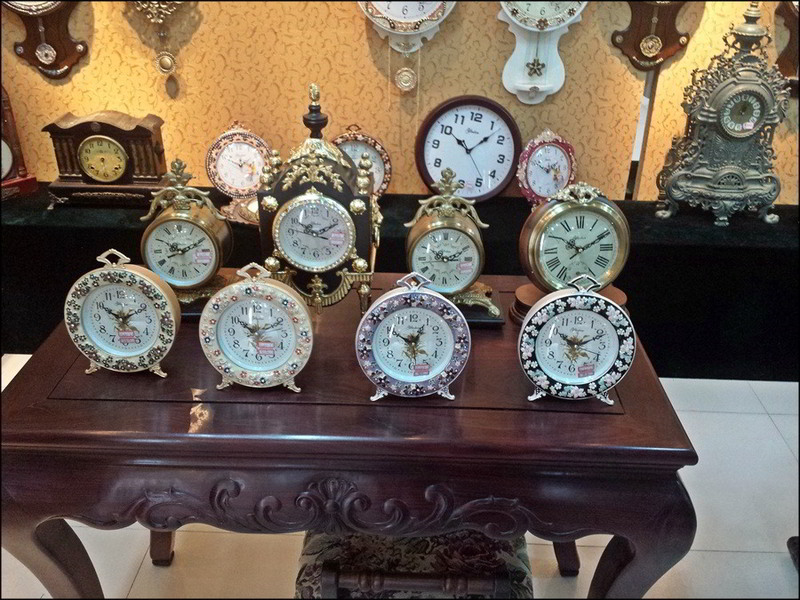 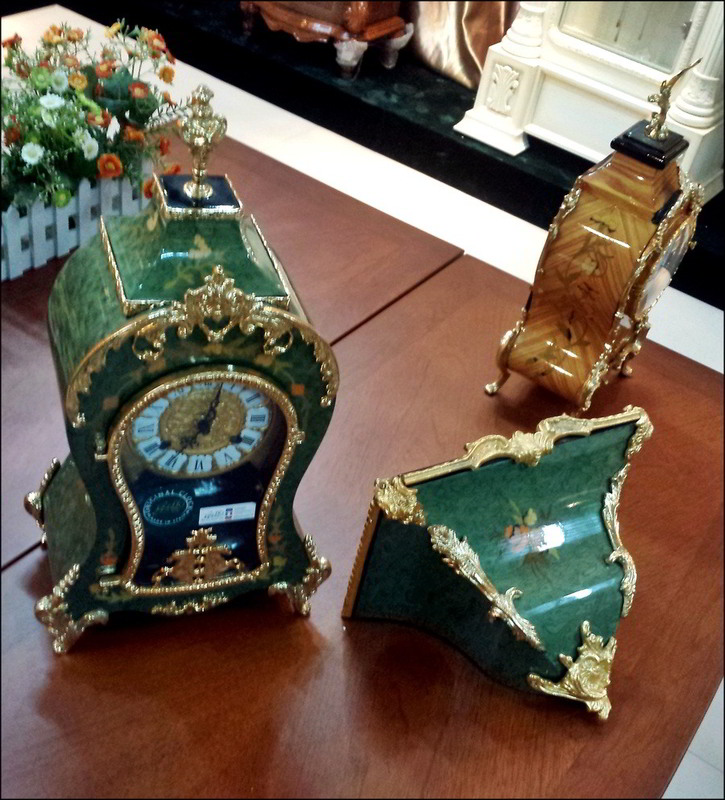 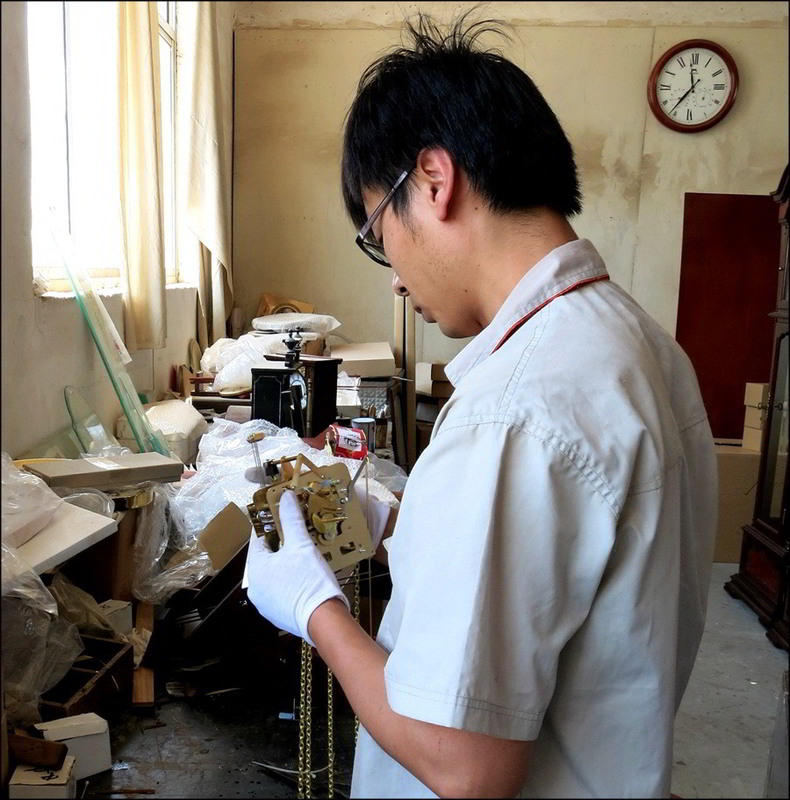 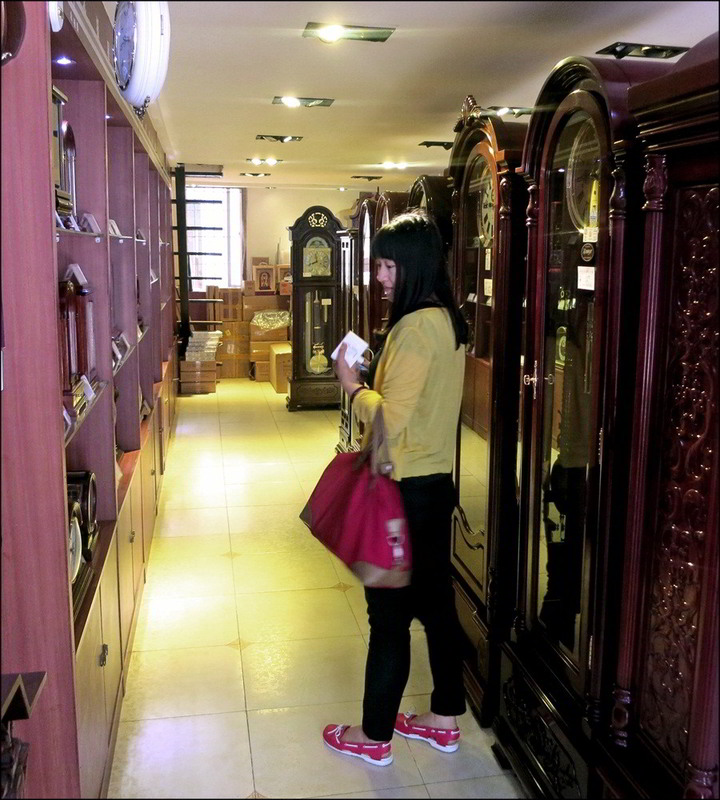 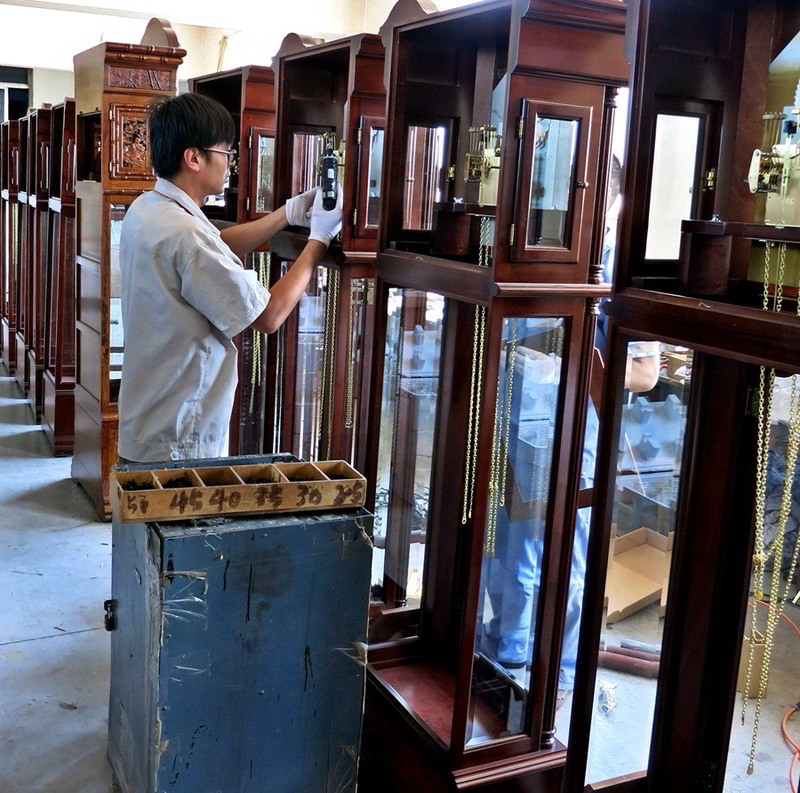 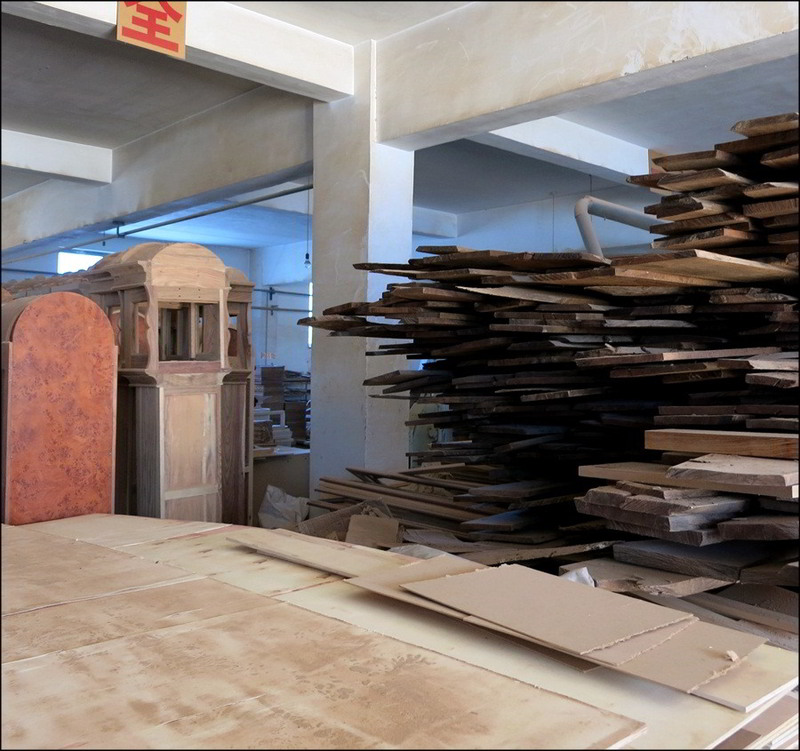 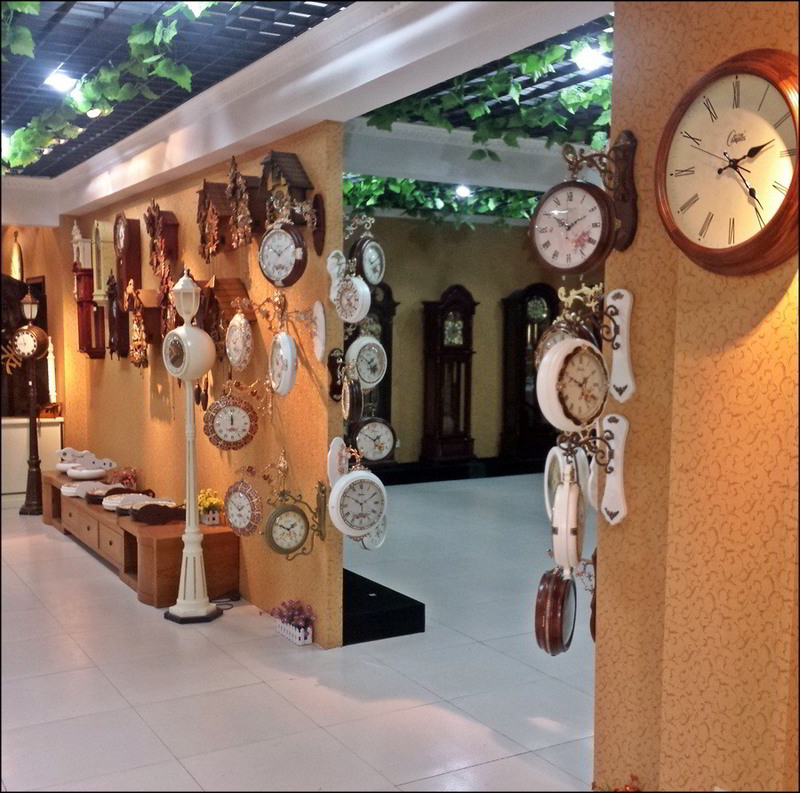 The Meishijia/Yantai Messica Timepiece Co.facility is also home to a small but carefully assembled collection of vintage clocks, so here's a few of them. 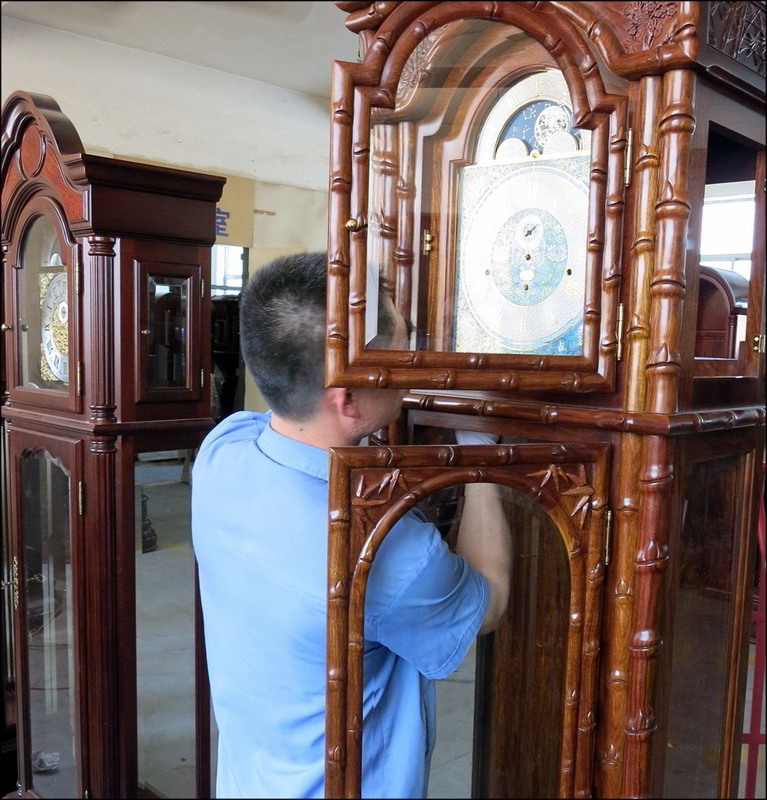 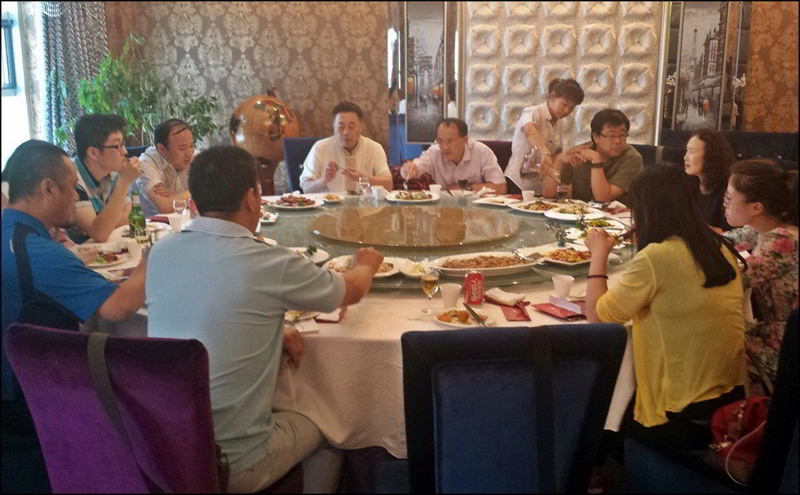 The folks at Meishijia/yantai Messica Timepiece Co.very kindly provided us with lunch at a local eatery, complete with toasts and lots of good humour. 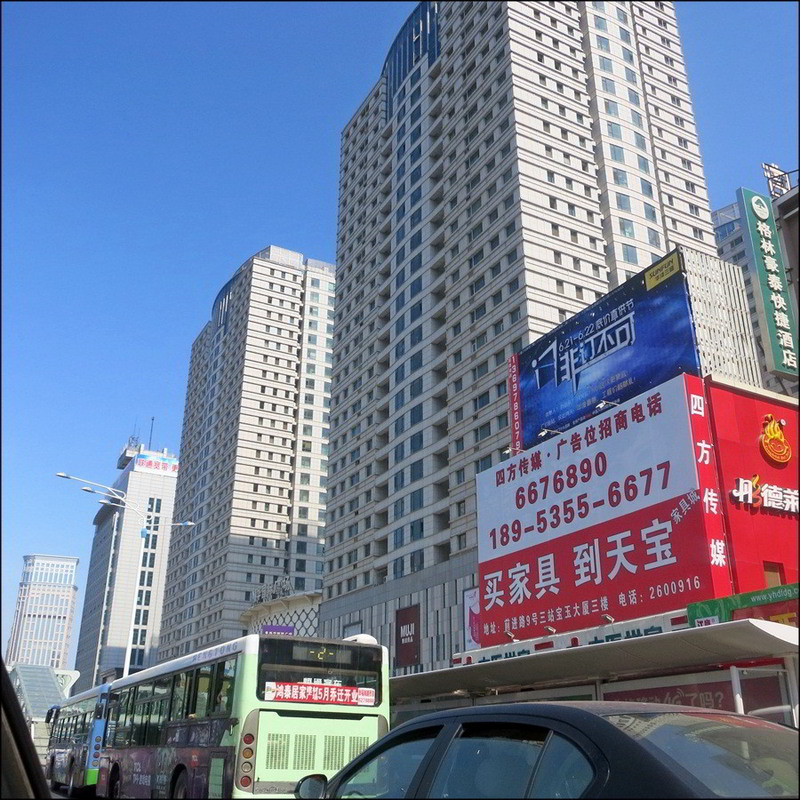 Time, however, was running short as I had only about an hour or so left before I had to head to the airport to catch my plane to Shijiazhuang. 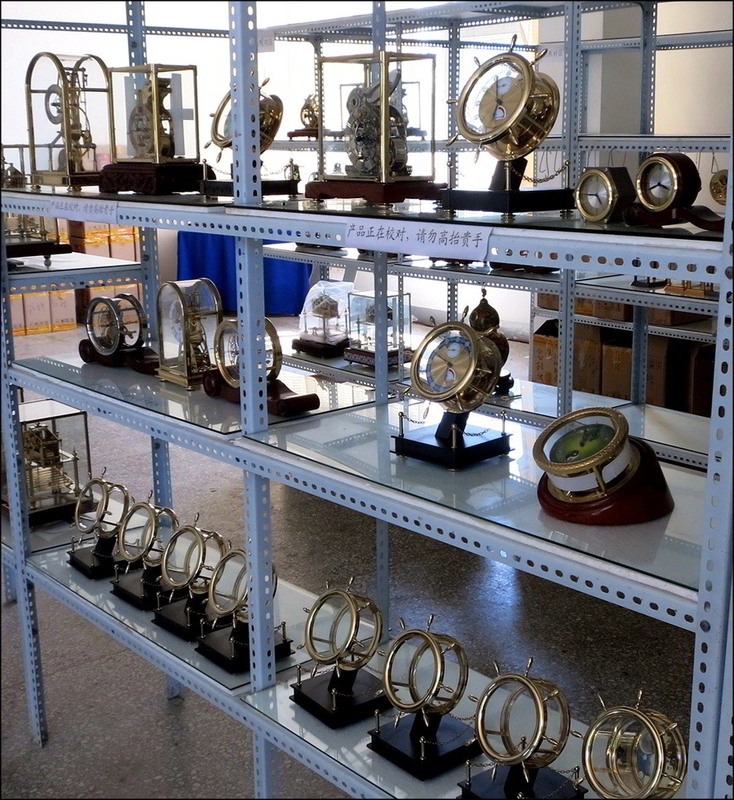 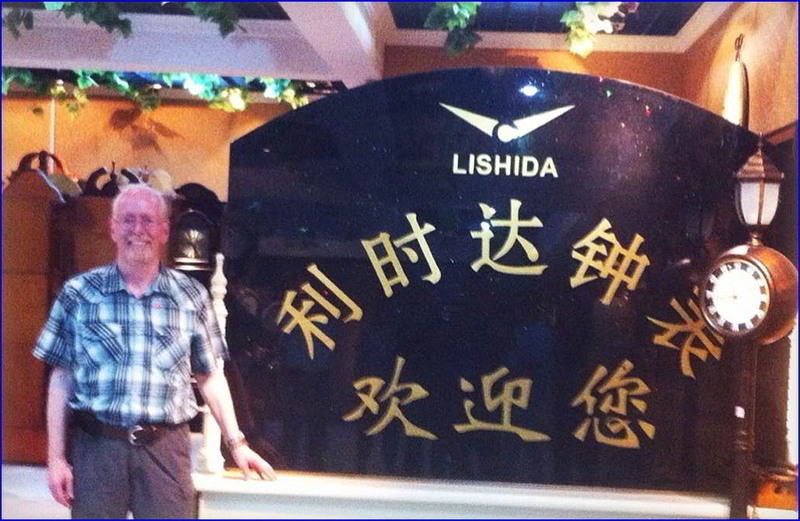 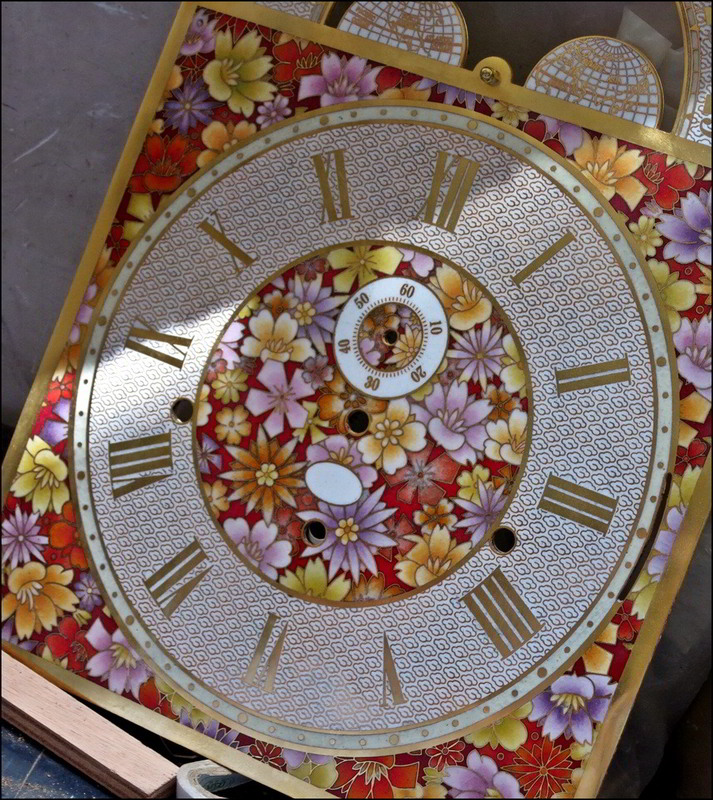 That still left time for a final and quick business visit, this time to the kind folks at Leshida Clock, another smaller manufacturer of quality clocks. 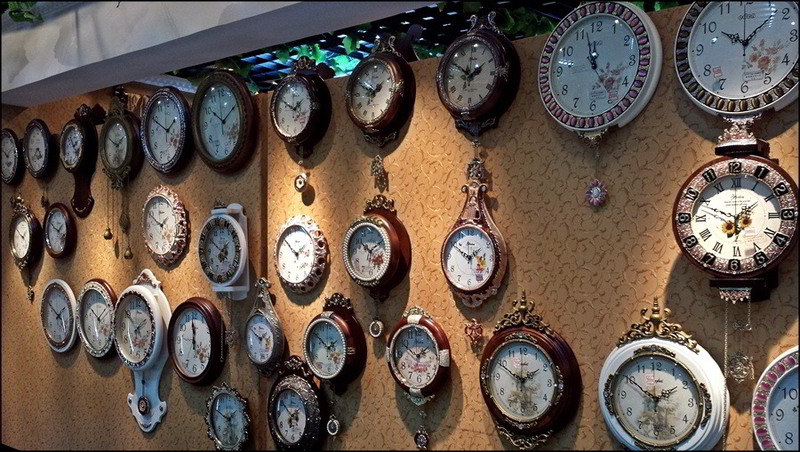 But time had run out and it was time to head to the airport. 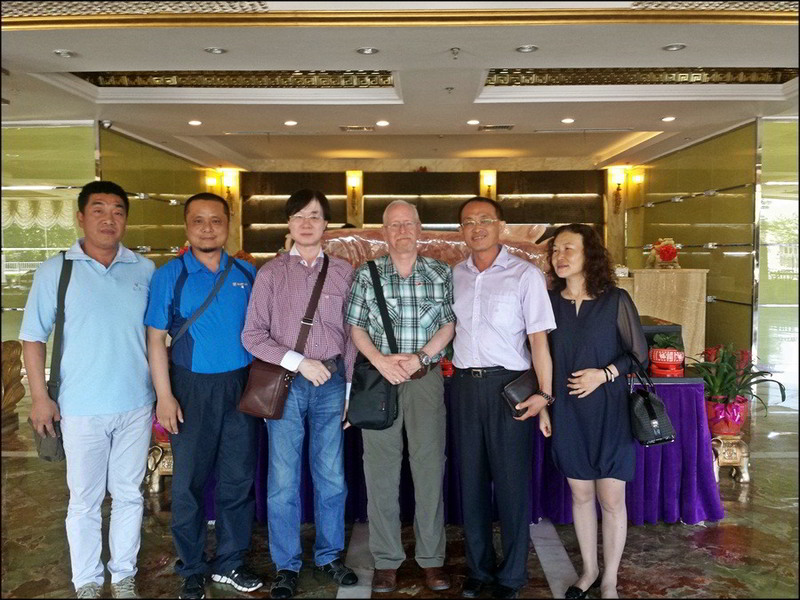 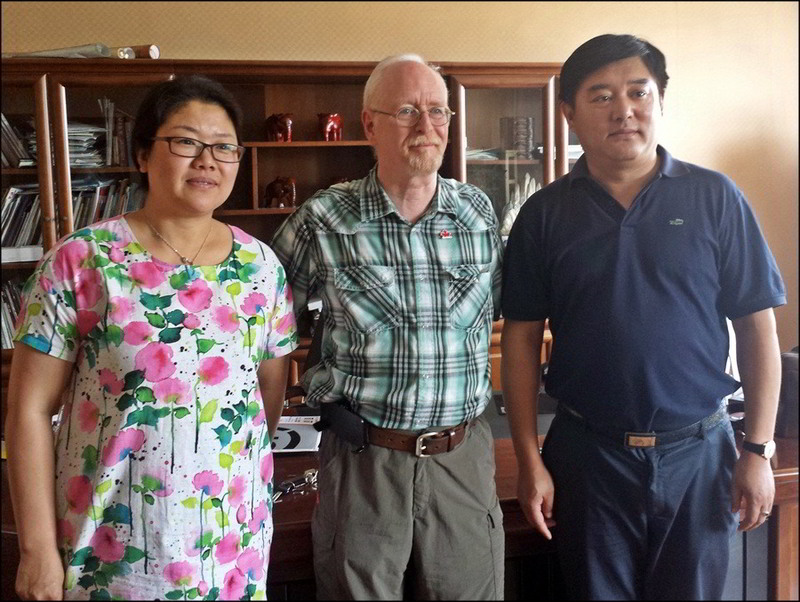 I was only a few hours away from finally seeing my brother MaRong and his wife in Shijiazhuang, and it had been a year to too long.